The Second Avenue Subway, a New York City Subway line that runs under Second Avenue on the East Side of Manhattan, has been proposed since 1920. The first phase of the line, consisting of three stations on the Upper East Side, started construction in 2007 and opened in 2017, ninety-seven years after the route was first proposed. Up until the 1960s, many distinct plans for the Second Avenue subway line were never carried out, though small segments were built in the 1970s. The complex reasons for these delays are why the line is sometimes called "the line that time forgot". The line was originally proposed in 1920 as part of a massive expansion of what would become the Independent Subway System (IND). The Great Depression crushed the original proposal, and lack of funds scuttled numerous revivals throughout the 20th century. Meanwhile, the elevated lines along Second Avenue and Third Avenue, which the Second Avenue Line was intended to replace, were respectively demolished in 1942 and 1955, leaving the Lexington Avenue Subway as the only rapid transit line on much of Manhattan's east side. By the time the Second Avenue Line was built, the Lexington Avenue Line was by far the busiest subway line in the United States, with an estimated 1.3 million daily riders in 2015. Construction on the Second Avenue Line initially began in 1972 as part of the Program for Action, but was halted in 1975 because of the city's fiscal crisis, with only a few short segments of tunnels having been completed. Meanwhile, construction of the 63rd Street Lines, which would connect the Second Avenue Line and the IND Queens Boulevard Line to the BMT Broadway Line and the IND Sixth Avenue Line, began in 1969. The first segment of the 63rd Street Lines, which opened on October 29, 1989, included provisions for future connections to the Second Avenue Line. Work on the line restarted in 2007 following the development of a financially secure construction plan. The Metropolitan Transportation Authority (MTA) awarded a tunneling contract for the first phase of the project to the consortium of Schiavone/Shea/Skanska (S3) on March 20, 2007. This followed preliminary engineering and a final tunnel design completed by a joint venture between AECOM and Arup. Parsons Brinckerhoff served as the Construction Manager of the project. A full funding grant agreement with the Federal Transit Administration for the first phase of the project was received in November 2007. A ceremonial ground-breaking for the Second Avenue Subway was held on April 12, 2007. The first phase of the line, consisting of three newly-built stations and two miles (3.2 km) of tunnel, cost $4.45 billion. A 1.5-mile (2.4 km), $6 billion second phase is in planning and is expected to open by 2027–2029. In January 1927, Turner submitted a revised proposal. 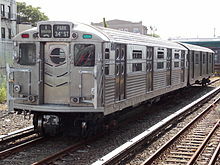 It was now going to connect to a Tenth Avenue trunk line as well as to crosstown lines in the Bronx and Queens. The Second Avenue Subway was still a six-track line through Manhattan, except for a short eight-track tunnel at its junction with the Queens lines. The plan called for a connection to the IND Concourse Line in the Bronx, as well as another one to the IND Fulton Street Line in Brooklyn. Such a plan would have cost $165,000,000 (equivalent to $2,380,000,000 in 2018), including connections and underwater crossings. As the IRT Lexington Avenue Line got more crowded, some suggested ideas that were considered unusual. One suggestion included a new tunnel under Lexington Avenue, while another included a tunnel under a separate right-of-way between Second and Third Avenue. On September 16, 1929, the Board of Transportation of the City of New York (BOT) tentatively approved the expansion, which included a Second Avenue Line with a projected construction cost of $98,900,000 (equivalent to $1,430,000,000 in 2018), not counting land acquisition. From north to south, the 1929 plan included four tracks from the Harlem River (where it would continue north as a Bronx trunk line with several branches) to 125th Street, six tracks from 125th Street to a link with the Sixth Avenue Line at 61st Street, four tracks from 61st Street to Chambers Street, and two tracks from Chambers Street to Pine Street. :B-2 The plan was soon modified with the addition of another Bronx branch, as well as an extension of the subway to Water and Wall Streets. :203 At the time, it was supposed to be completed between 1938 and 1941. In anticipation of the line's opening, real estate prices along the proposed route rose by an average of 50%. There were high demand for tenements along the route of the proposed subway, and sites located at street corners along the route were quickly bought up. Further revision of the plan and more studies followed. By 1939, construction had been postponed indefinitely, and the Second Avenue Line was relegated to "proposed" status. The Board of Transportation had ranked it as the city's 14th most important transportation project. The Second Avenue Line was also cut to two tracks, but now had a connection to the BMT Broadway Line. The reduced plan now had a single northern branch through Throggs Neck, Bronx, and a branch south into Brooklyn, connecting to a stub of the IND Fulton Street Line at the Court Street station, which is now the site of the New York Transit Museum. :205 The subway's projected cost went up to US$249 million (equivalent to $4,241,000,000 in 2018). The United States' entry into World War II in 1941 halted all but the most urgent public works projects, delaying the Second Avenue Line once again. The Second Avenue El was demolished in September 1942. This photo was taken at First Avenue from 13th Street, looking south. As part of the unification of the three subway companies that comprised the New York City Subway in 1940, elevated lines were being shut down all over the city and replaced by subways, continuing the IND's trend of phasing out elevated lines and streetcars in favor of new subways. For example, the IND Sixth Avenue Line replaced the Sixth Avenue Elevated, while the IND Fulton Street Line replaced the Fulton Street Elevated. Demolition of the elevateds also had the perceived effect of revitalizing the neighborhoods that they traveled through. :205–206 The northern half of the Second Avenue Elevated, serving the Upper East Side and East Harlem, closed on June 11, 1940; the southern half, running through Lower Manhattan, East Midtown and across the Queensboro Bridge to Queens, closed on June 13, 1942. The demolition of the Second Avenue elevated caused overcrowding on the Astoria and Flushing Lines in Queens, which no longer had direct service to Manhattan's far East Side. :208 Because of the elevated line's closure, as well as a corresponding increase in the East Side's population, the need for a Second Avenue subway increased. By the next year, New York City had budget shortfalls. The city was short of $145 million (in 1948 dollars) that were needed for rehabilitation and proposed capital improvements, which cost a total of $800 million. The city petitioned the New York State Legislature to exceed its $655 million debt ceiling so that the city could spend $500 million on subway construction, but this request was denied. A R11 car, ten of which were built for the Second Avenue Subway. The New York Board of Transportation ordered ten new prototype subway cars made of stainless steel from the Budd Company. These R11 cars, so called because of their contract number, were delivered in 1949 and specifically intended for the Second Avenue Subway. They cost US$100,000 (equivalent to $1,000,000 in 2018) each; the train became known as the "million dollar train". The cars featured porthole style round windows and a new public address system. Reflecting public health concerns of the day, especially regarding polio, the R11 cars were equipped with electrostatic air filters and ultraviolet lamps in their ventilation systems to kill germs. In 1949, Queens and Lower Manhattan residents complained that the Second Avenue Subway would not create better transit options for them. A year later, revised plans called for a connection from Second Avenue at 76th Street to Queens, under 34th Avenue and Northern Boulevard, via a new tunnel under the East River. Connections would also be made to the Long Island Rail Road (LIRR)'s Rockaway Beach Branch. [note 2] New York voters approved a bond measure for its construction in 1951, and the city was barely able to raise the requisite $559 million for the construction effort. However, the onset of the Korean War caused soaring prices for construction materials and saw the beginning of massive inflation. Money from the 1951 bond measure was diverted to buy new cars, lengthen platforms, and maintain other parts of the aging New York City Subway system. Out of a half-billion-dollar bond measure, only $112 million (equivalent to $1,081,000,000 in 2018), or 22% of the original amount, went toward the Second Avenue Subway. By then, construction was due to start by either 1952 or 1957, with estimated completion by 1958 at the earliest. Because many people thought that the bonds were solely to be used on the new subway, many people accused the New York City Transit Authority (NYCTA) of misusing the bonds. A block to the west of the proposed subway line, the Manhattan section of the Third Avenue Elevated, the only other elevated line in the area, closed on May 13, 1955, and was demolished in 1956. Contrary to what many East Side residents thought, the demolition of the elevateds did not help the travel situation, as the Lexington Avenue Line was now the only subway transportation option on the East Side, leading to overcrowding. By 1957, it had been made clear that the 1951 bond issue was not going to be able to pay for the Second Avenue Line. The money had been used for other projects, such as the integration of the IRT Dyre Avenue Line, and IND Rockaway Line and reconfiguration of the DeKalb Avenue Interlocking. :216 By then, the New York Times despaired of the line's ever being built. "It certainly will cost more than $500,000,000 and will require a new bond issue," wrote one reporter. In March of that year, NYCTA chairman Charles L. Patterson stated that the NYCTA had used the bond funds properly and that the bonds were not dedicated solely to fund the Second Avenue Line. He stated that the bonds had been allocated to the corridor based on increasing ridership on the Second Avenue Line, but admitted that currency inflation, as well as necessary rehabilitation work to the existing lines, made the Second Avenue Line unlikely in the near future. The Grand Street station, built as part of the Chrystie Street Connection, was originally conceived with a possible cross-platform interchange with the Second Avenue Subway. As the early 1960s progressed, the East Side experienced an increase in development, and the Lexington Avenue Line became overcrowded. In 1962, construction began on a connection between the Manhattan and Williamsburg Bridges and the Sixth Avenue Line. This segment, the Chrystie Street Connection, was first proposed in the 1947 plan as the southern end of the Second Avenue line, which would feed into the two bridges. When opened on November 26, 1967, the connection included the new Grand Street station on the Sixth Avenue Line (another station, 57th Street, opened on July 1, 1968), and introduced the most significant service changes ever carried out in the subway's history. :216–217 Grand Street, located under Chrystie Street (the southern end of Second Avenue) was designed to include cross-platform transfers between the Sixth Avenue and Second Avenue Lines. In 1964, Congress passed the Urban Mass Transportation Act, promising federal money to fund mass transit projects in America's cities via the Urban Mass Transportation Administration (UMTA). Three years later, voters approved a $2.5 billion (worth about $18,785,000,000 in current dollars) Transportation Bond Issue, which provided over $600 million (worth $4,508,000,000 today) for New York City projects, including for a 1968 Program for Action. The Second Avenue project, for a line from 34th Street to the Bronx, was given top priority. The City secured a $25 million UMTA grant for initial construction. :219 On March 19, 1970, the Board of Estimate approved Route 132-C, which was the portion of the line south of 34th Street. :135 Mayor John Lindsay, on August 16, 1970, announced the approval of a $11.6 million design contract for the line, which was awarded to DeLeuw, Cather & Company. Second Avenue was chosen for a subway line over First Avenue because it was closer to places of employment than First Avenue. :27 Construction of the entire line was seen as conducive to revitalizing New York City's then-declining economy, and the line was a big component of the 1969 "Plan for New York City" proposal. As part of the approved plan, in the Bronx, the line would have run along East 138th Street, with a cross-platform transfer to Lexington Avenue Line trains at Brook Avenue on the IRT Pelham Line, which would have been reconfigured. A study was undertaken to determine whether an alternative route would reduce costs. Adoption of the alternate route would have required a new Route and General Plan. As part of the alternative plan, this transfer station was eliminated from the plan due to high environmental problems and high costs. Instead, the line would diverge from the original route from a location 150 feet (46 m) north of the Harlem River bulkhead, would swing eastward, passing through the Willis Avenue Bridge piers, underneath the Penn Central's Harlem River Yard and between the Triboro Bridge piers. Then the line would head north, entering an open cut, before using two unused tracks in the vicinity of Willow Avenue and East 132nd Street, using the Penn Central's bridges and embankments to return to the original route at East 141st Street. Running in a tunnel would remove potential conflicts with the rail yard and would have allowed the rail yard to be redeveloped. This alternative was found to cost $117 million (equal to about $545,000,000 today), compared to the original plan, which would have cost $240 million (equal to about $1,117,000,000 today). The original route would have displaced five commercial properties while the alternative would have required the relocation of tracks and warehouse platforms in the yard. The downside of the alternative was that it would not provide a transfer in the South Bronx between the Pelham Line and the Second Avenue Line, preventing Second Avenue passengers from directly accessing Pelham Line stations between Brook Avenue and Longwood Avenue. The alternate route reduced environmental impacts since it was to be constructed through the rail yard, as opposed to under East 138th Street. Also during this phase, service on the upper Pelham Line would be extended to Co-op City, Bronx. A third branch of the Second Avenue line to replace the Third Avenue El in the Bronx would also be built, running adjacent to the right-of-way of Metro-North’s Harlem Line on Park Avenue. The line's final phase, Route 132-C, would have extended the Second Avenue line south from 34th Street in Midtown to Lower Manhattan, and would have been 3.7 miles (6.0 km) long. This section was expected to cost $393,000,000 (equal to about $2,218,000,000 today). A majority of the section, 12,400 feet (3,800 m), would be constructed using cut-and-cover, with the remainder, 6,700 feet (2,000 m) using tunnel boring machines. Tunnel boring machines were to have been employed to construct the sections between East 32nd Street and East 7th Street, and Wall Street and Whitehall Street. The alignment for this portion of the line would have been via Second Avenue, Chrystie Street, Chatham Square, Saint James Place, and Water Street to the terminal near Water Street and Whitehall Street. The line would have consisted of two tracks, with layup tracks to insure operational reliability. Pine-Wall and Whitehall Street stations would both have four tracks (two platform levels with two tracks each) in order to increase the capacity of the Whitehall Street terminal above 30 trains per hour to 40 trains per hour, and to improve passenger flow. One platform would be used for Queens-bound service, while the other would be for Bronx-bound service. The 14th Street station would have had three tracks on a single level to facilitate access to and from the 615 feet (187 m)-long pit track located to the north of the station. The seven stations on the line would have been East 23rd Street (between East 23rd Street and East 27th Street), East 14th Street (between East 13th Street to East 15th Street), East Houston Street (at the intersection of East Houston Street with Chrystie Street and Second Avenue), Grand Street (enlarging the existing station), Chatham Square (under Chatham Square at the intersection of East Broadway, the Bowery, Park Row and St. James Place), Pine–Wall (under Water Street from Wall Street to John Street) and Whitehall Street (under Water Street from Whitehall Street to Coenties Slip). Free transfers would be offered to existing lines at 14th Street, East Houston Street and Whitehall Street, while Grand Street would be reconstructed. 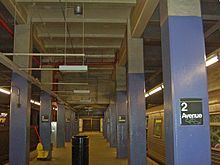 The East Houston Street station would have utilized the existing provisions located within the mezzanine of the Second Avenue station on the IND Sixth Avenue Line. During construction, a portion of Sara D. Roosevelt Park at Chrystie Street would have been used for the line's construction. All stations would have included escalators, high intensity lighting, improved audio systems, platform edge strips, and non-slip floors to accommodate the needs of the elderly and people with disabilities, but notably no elevators. Space at each station would have been used for ancillary facilities. The second phase of the 1960s–1970s Second Avenue Subway project would have provided a connection between a new Water Street station and the existing South Ferry and Whitehall Streets stations. The line's planned stops in Manhattan, spaced farther apart than those on existing subway lines, proved controversial;:37 the Second Avenue line was criticized as a "rich man's express, circumventing the Lower East Side with its complexes of high-rise low- and middle-income housing and slums in favor of a silk stocking route.”:218 In order to cut down on walking distance, the stations would have been up to four blocks long. The plan for stations was reluctantly disclosed by the NYCTA on August 27, 1970 after a meeting with Assemblyman Stephen Hansen, who represented an area that covered the Upper East Side. Justifying the lack of stations, the NYCTA's chief engineer John O'Neil said that a station on the line cost $8 million which made it prohibitively expensive to build more. The stations at 34th Street and 125th Street were decided as they would be the terminal points, and the 48th Street location was decided because of a transfer to a proposed people mover that would take riders to other subway lines and the West Side. :37 57th Street was decided because of the large volume of crosstown traffic, and 86th Street had been decided upon because of the large number of high-rise buildings and stores in the area. These two stations and 106th Street were decided upon in a planning report. On March 19, 1970, the Board of Estimate approved the connecting loop through the Lower East Side. The route was a compromise; a year earlier the board vetoed the Second Avenue Line proposal, and instead proposed that the main line go eastward from East 17th Street onto Avenue A and then curve onto the regular route at Chatham Square. The NYCTA said that it would cost $55 million more than a direct line and the transfer at Grand Street would have been lost. In addition, less riders would have been diverted from the Lexington Avenue Line under this scheme. Two services were planned to use the loop. Some trains from the IND Sixth Avenue Line would join the loop at Houston Street and Second Avenue and then swing around to 14th Street and Eighth Avenue. There would also have been a shuttle between those two stations. Despite the controversy over the number of stops and routes, a combination of Federal and State funding was obtained. In March 1972, the entire cost of the section between 34th Street and 126th Street, according to the projects Draft Environmental Study, was estimated to be $381 million. :1 In June 1972, it was announced that the UMTA would grant $25 million for the construction of this section of the line. The MTA had requested $254 million in federal funds for the northern part of the line. Preliminary estimates of the cost of the southern portion of the line came to $450 million. The entire section was to be constructed using the cut-and-cover method of subway construction, in which a trench is dug in the middle of the street and is later covered over. 14,300 square yards of decking were to have been used to cover the trench, allowing for traffic on Second Avenue to not be interrupted. The entire line from Water Street to 180th Street in the Bronx was expected to be completed by 1980. On October 25, 1973, the line's Chinatown segment, section 132-C5, commenced construction at Canal Street under the foot of the Manhattan Bridge; this segment, between Canal and Division Streets, was due to be completed by 1980 and was being built at a cost of $8.3 million (equal to about $46,845,000 in current dollars). The segment, which is 738 feet (225 m) long, was constructed by the Horn–Kiewit Construction Company. :9D-24 In January 1974, a contract, D-21308, was put out for the construction of Section 7 of Route 132-C, which spanned an area between 2nd Street and 9th Street in the East Village. Slattery Associates was awarded the contract in March 1974 with a low bid of $21,346,310 (equal to about $108,446,000 in current dollars). The job was expected to be completed in 39 months. On July 25, 1974, construction on the segment was started near Second Street. :160 Another contract, for a Midtown segment between 50th and 54th Streets, was awarded that year for $34.6 million, with constructed expected to begin in the fall. However, construction never commenced. In total, construction on the Second Avenue Line during the 1970s spanned over 27 blocks. The city also changed zoning regulations for areas located near planned stations, being first proposed on September 30, 1974 by Mayor Beame. New and existing buildings in these areas were required to build pedestrian plazas and arcades that would allow for the future construction of subway entrances. :222 Permanent special transit use districts were created within 100 feet of the proposed stations. The line was designed so that Second Avenue could be widened at a later date by narrowing the sidewalks by five feet on either side of the street. In the 1970s, three segments of the Second Avenue Subway were built and later abandoned. This is the segment in Chinatown. The city soon experienced its most dire fiscal crisis yet, due to the stagnant economy of the early 1970s, combined with the massive outflow of city residents to the suburbs. In October 1974, the MTA chairman, David Yunich, announced that the completion of the line north of 42nd Street was pushed back to 1983 and the portion to the south in 1988. On December 13, 1974, New York City mayor Abraham Beame proposed a six-year transit construction program that would reallocate $5.1 billion of funding from the Second Avenue Line to complete new lines in Queens and to modernize the existing infrastructure, which was rapidly deteriorating and in dire need of repair. The plan also used Federal aid to stabilize the transit fare. On December 22, 1974, the Regional Plan Association, a nonprofit research and planning agency for the metropolitan region, urged Mayor Beame to continue building the Second Avenue line, and the group described his decision to postpone the line's construction as a "serious error" that would waste millions of dollars. In June 1975, a public hearing was held concerning the MTA's plan to transfer funds from the Second Avenue Subway to the Archer Avenue Line project. In September 1975, Beame issued a stop-work order for the line. Construction of the line was halted on the section between Second and Ninth Streets, and no other funding was to be allocated to the line's construction. Besides the Chrystie Street Connection, only three sections of tunnel had been completed; these tunnels were sealed. By summer 1977, after construction had been halted for several months, residents of East Harlem reported that construction materials for the Second Avenue subway were being stored on the streets, and open pits in the sidewalk had yet to be covered up. One engineer said that “we should be able to have things back to normal by spring 1978" if no problems were encountered. Several East Harlem residents filed lawsuits against the city after receiving injuries from broken construction materials or missing sidewalks, while retailers reported that the open pits encouraged thieves to break into their stores, sometimes by going through the open pits. In 1978, when the New York City Subway was at its lowest point in its existence, State Comptroller Arthur Levitt stated that there were no plans to finish the line. During the 1980s, plans for the Second Avenue line stagnated. 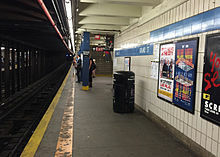 Construction on the 63rd Street Lines continued; the IND portion of the line opened in 1989 and extended to 21st Street–Queensbridge in Long Island City, Queens, but it did not include a connection to the Second Avenue line. In 1996, New York Magazine jokingly suggested that if New York City were to host an Olympic Games, there might finally be funding to finish the Second Avenue Subway. Of this failure to complete construction, Gene Russianoff, an advocate for subway riders since 1981, stated: "It's the most famous thing that's never been built in New York City, so everyone is skeptical and rightly so. It's much-promised and never delivered." By this time, the project was known as "the line that time forgot". When construction on the line was halted in 1975, three tunnel segments were completed: one from 99th to 105th Streets (1,815 feet (553 m)-long) and a second from 110th to 120th Streets (2,556 feet (779 m)-long), both under Second Avenue in East Harlem, and a third from Division to Canal Streets in Chinatown (738 feet (225 m)-long), under the Confucius Plaza apartment complex next to the Bowery. :9D-24 They were not initially outfitted with track or signals. In August 1982, the MTA put out advertisements in national journals announcing that the two tunnel segments in East Harlem were being put up for rent for temporary use, and that the rents on the tunnels were to last seven years. After the UMTA approved the MTA's plan, the MTA dispersed advertisements. The tunnels had no plumbing, ventilation, or access to the street, except through manhole covers on Second Avenue. To provide access to the tunnels, the MTA wanted to rent street-level rights that it had for subway entrances. The sole respondent to these advertisements wanted to use the abandoned tunnels as a filing cabinet. Over the next few decades, the MTA inspected and maintained the tunnel segments every two to three months, spending $20,000 a year by the early 1990s to maintain the structural integrity of the streets above, as well as to keep the segments clean in case construction ever resumed. Trespassers would often camp in the tunnels until the MTA increased security. The tunnel section from 110th to 120th Streets was built with space for three tracks. As part of the 1970s construction plan, under which this segment was constructed, there was no station planned at 116th Street. The middle track in that area was to be used for inspecting trains. As part of Phase 2, the section occupied by the middle track for the 116th Street station's island platform. The modern construction plan for the Second Avenue Subway, developed in 2004, would make use of most of these tunnel segments. Phase 1 of service built new tunnels up to 99th Street, where the new tunnels connect to the tunnel segment between 99th and 105th Streets. The new tunnels between 96th and 99th Street are used for train storage of up to four trainsets, or two per track. Phase 2 is planned to extend Q train service from 96th Street to 125th Street. During Phase 2, both East Harlem segments will be connected, modified, and used for normal train service. In 2007, the MTA reported that the segments were in pristine condition. In December 2016, there were rumors that the 110th–120th Streets segment might go unused, though the MTA refuted the claim. The fourth phase of construction will bring the Second Avenue line through Chinatown at an undetermined date. However, the tunnel under the Confucius Apartments is not planned to be used;:13:51 while original plans involved the Second Avenue line running at the same depth of the Sixth Avenue Line at the Grand Street station, that option would require the use of cut-and-cover construction methods, which would disrupt the community and require the demolition of several nearby structures. :9:51 Instead the MTA has proposed a deeper tunnel alignment in this area, including a new lower level at Grand Street, to reduce construction impacts on the Chinatown community. As a result, trains will be unable to use this tunnel segment; however, the MTA suggests that the tunnel segment could be used to store ancillary facilities for the subway line, such as a power substation or a ventilation facility. A contract for construction between 2nd and 9th Streets was also awarded in mid-1974. However, it is unclear how much work, if any, was performed on that section. With the city's economic and budgetary recovery in the 1990s, there was a revival of efforts to complete construction of the Second Avenue Subway. Rising ridership on the IRT Lexington Avenue Line, the only subway trunk line east of Central Park, demonstrated the need for the Second Avenue Line, as capacity and safety concerns rose. The four-track IRT Lexington Avenue Line, the lone rapid transit option in the Upper East Side and East Harlem since the 1955 closure of the Third Avenue elevated, is the most crowded subway line in the country. The line saw an average of 1.3 million daily riders in 2015. This is more than the daily ridership of the entire Washington Metro system, which has the second-highest ridership in the U.S., as well as greater than the combined riderships of the rail transit systems of San Francisco and Boston. Local bus routes are just as crowded during various times of the day, with the M15 local and Select Bus Service routes, which run on Second Avenue, seeing a combined annual ridership of 14.5 million or a daily ridership of about 46,029. The construction of the Second Avenue line would add two tracks to fill the gap that has existed since the elevated Second and Third Avenue Lines were demolished in the 1950s. It would also be the largest expansion of the New York City Subway since the 1960s. According to the line's final environmental impact statement, the catchment area of the line's first phase would include 200,000 daily riders. The favored alternative, build alternative 1, included a subway running down Second Avenue from 125th Street in Harlem to the existing Lexington Avenue–63rd Street station with provisions for expansion to the Bronx and to Lower Manhattan. Second Avenue was chosen over Third Avenue, because Third Avenue was too close to the Lexington Avenue Line, as well as having significant property impacts, increased construction complexity and cost, and increased travel times resulting from slower operating speeds. :17 Second Avenue was chosen over First Avenue, because it would be too difficult to construct near the Queensboro Bridge, the United Nations and the Queens-Midtown Tunnel. Initial plans called for a spur from the Second Avenue Subway to Grand Central Terminal via 44th Street. Build alternative two would involve the addition of a separate light rail service between Union Square and Broad Street that would serve the Lower East Side and Lower Manhattan. :7–8 Other alternatives including building in-fill stations on various lines (including the 63rd Street Line at First Avenue, at First Avenue on the Broadway Line, at First Avenue on the Flushing Line, and Avenue C on the Canarsie Line), building an elevated train line along Second or First Avenues, lengthening the platforms on the Lexington Avenue Line to accommodate twelve-car trains, or connecting the northern part of the Lexington Avenue Line (either the local or express tracks), which would be converted to B Division service, to the Broadway Line. :7–8 Due in part to strong public support, the MTA Board committed in April 2000 to building a full-length subway line along the East Side, from East Harlem to Lower Manhattan. :18 In May 2000, the MTA Capital Program Review Board approved the MTA's 2000–2004 Capital Program, which allocated $1.05 billion for the construction of the Second Avenue Subway. :18 The next year, a contract for subway design was awarded to DMJM Harris/Arup Joint Venture. On December 19, 2001, the Federal Transit Administration approved the start of preliminary engineering on a full-length Second Avenue Subway. Hanover Square (pictured) was finally chosen as the location of the line's southern terminus. When Hillary Clinton was running for New York State Senator in 2000, she stated that she supported the construction of multiple major infrastructure projects in New York, such as the Second Avenue Subway, East Side Access, and rail links to LaGuardia and JFK Airports. In 2003, two million dollars in preliminary funding for the subway were provided by Congressmen Maurice Hinchey and John Sweeney. The MTA's final environmental impact statement (FEIS) was approved in April 2004; this latest proposal is for a two-track line from 125th Street and Lexington Avenue in Harlem, down Second Avenue to Hanover Square in the Financial District. The new subway line will actually carry two regular services. The full-length Second Avenue line, extending from Harlem to the Financial District, is to be given the color turquoise and the letter designation T. However, a rerouted Q, the line's other service, will begin carrying passengers first (supplemented by some rush-hour N trains). The MTA plan calls for building the Second Avenue Subway in four segments with connections to other subway lines. The first segment, Phase 1, rerouted the Q along the Broadway Express, via the BMT 63rd Street Line, and north along Second Avenue to the Upper East Side at 96th Street. Phase 2 will extend the rerouted Q train, along with the rush-hour N trips, to 125th Street and Lexington Avenue. In Phase Three, the new T train will run from 125th Street to Houston Street. The final phase will extend T train service from Houston Street to Hanover Square in Lower Manhattan. In August 2006, the MTA revealed that all future subway stations—including stations on the Second Avenue Subway and the 7 Subway Extension, as well as the new South Ferry station—would be outfitted with air-cooling systems to reduce the temperature along platforms by as much as 10 °F (6 °C). In early plans, the Second Avenue Subway was also to have platform screen doors to assist with air-cooling, energy savings, ventilation, and track safety, but this plan was scrapped in 2012 as cost-prohibitive. The 2-mile (3.2 km) first phase will be within budget, at $4.45 billion. Its construction site was designated as being from 105th Street and Second Avenue to 63rd Street and Third Avenue. Deep bore tunneling methods were to be used in order to avoid the disruptions for road traffic, pedestrians, utilities and local businesses produced by cut-and-cover methods of past generations. Stations were to retain cut-and-cover construction. The total cost of the 8.5-mile (13.7 km) line is expected to exceed $17 billion. In 2014, MTA Capital Construction President Dr. Michael Horodniceanu stated that the whole line may be completed as early as 2029, and would serve 560,000 daily passengers upon completion; however, as of December 2016[update], only Phases 1 and 2 would be completed by 2029. The line is described as the New York City Subway's "first major expansion" in more than a half-century. However, its completion is in doubt, with one construction manager saying that the first phase of the project is "four and a half billion dollars for three stations," and that there are fifteen stations that need to be built for the entire line. Second Avenue Subway plans for Phase 1 were only allowed to proceed because New York voters passed a transportation bond issue on November 8, 2005, allowing for dedicated funding allocated for that phase. Its passage had been seen as critical to its construction, but the bond was passed only by a narrow margin, with 55 percent of voters approving and 45 percent disapproving. After warning that failure to pass the act would doom the project, MTA chairman Peter S. Kalikow stated, "Now it's up to us to complete the job." On December 18, 2006, the U.S. Department of Transportation announced that they would allow the MTA to commit up to $693 million in funds to begin construction of the Second Avenue Subway and that the federal share of such costs would be reimbursed with FTA transit funds, subject to appropriations and final labor certification. Preliminary engineering and a final tunnel design was completed by a joint venture between AECOM and Arup. The first phase was originally supposed to include a core tunneling section between 62nd and 92nd Streets, as well as a spur from Third Avenue/63rd Street to Second Avenue/65th Street. The 96th Street station cavern, as well as existing tunnels, would allow the first phase's trackage to run from 62nd to 105th Streets. Before construction started, the MTA revised their plans so that the construction of the section between 62nd and 65th Streets was postponed. On March 20, 2007, upon completion of preliminary engineering, the MTA awarded a contract for constructing the tunnels between 92nd and 63rd Streets, a launch box for the tunnel boring machine (TBM) at 92nd to 95th Streets, and access shafts at 69th and 72nd Streets. This contract, valued at $337 million, was awarded to S3, a joint venture of Schiavone Construction, Skanska USA Civil, and J.F. Shea Construction. A ceremonial groundbreaking took place on April 12, 2007, in a tunnel segment built in the 1970s at 99th Street. At the time, it was announced that passengers would be able to ride trains on the new line by the end of 2013. Actual construction work began on April 23, 2007, with the relocation of utility pipes, wires, and other infrastructure. This process took 14 months, nearly double the MTA's anticipated eight months. In November 2007, Mary Peters, the United States Secretary of Transportation, announced that the Second Avenue Subway would receive $1.3 billion in federal funding for the project's first phase, to be funded over a seven-year period. However, due to cost increases for construction materials and diesel fuel affecting the prices of contracts not yet signed, the MTA announced in June 2008 that certain features of the Second Avenue Subway would be simplified to save money. One set of changes, which significantly reduces the footprint of the subway in the vicinity of 72nd Street, is the alteration of the 72nd Street Station from a three-track, two-platform design to a two-track, single island platform design, paired with a simplification of the connection to the Broadway Line spur. Supplemental environmental impact studies covering the changes for the proposed 72nd Street and 86th Street stations were completed in June 2009. On May 28, 2009, the MTA awarded a $325 million contract to E.E. Cruz and Tully Construction Co., a joint venture and limited liability company, to construct the 96th Street station box. Work on this contract began in July. In June 2009, the first of three contracts for the 86th Street station was awarded for the advance utility relocation work and construction of cut-and-cover shaft areas at 83rd and 86th Streets. Muck houses were built to store all the dirt and debris from the project. During construction, two buildings had to be evacuated in June 2009. On June 5, an apartment building at 1772 Second Avenue was evacuated by the NYC Department of Buildings (DOB) after it was determined that the building was in danger of collapse. Then on June 29, the DOB evacuated a mixed use building at 1768 Second Avenue/301 East 92nd Street because it too was in danger of collapse. The evacuation of these two buildings delayed the contractor's plan to use controlled blasting to remove bedrock in the southern section of the launch box. Until the blasting permits could be issued, MTA required contractors to use mechanical equipment to remove the bedrock, which is slower than blasting out the rock. The tunnel boring machine was originally expected to arrive six to eight months after construction began, but the utility relocation and excavation required to create its "launch box" delayed its deployment until May 2010. On May 14, 2010, MTA's contractors completed the TBM installation and turned it on at the Second Avenue Subway launch box at 96th Street and boring southward to connecting shafts built at 86th and 72nd Streets. On October 1, 2010, MTA awarded a $431 million contract to joint venture SSK Constructors for the mining of the tunnels connecting the 72nd Street station to the existing Lexington Avenue–63rd Street station, and for the excavation and heavy civil structures of the 72nd Street station. :301 A subsequent contract was awarded to Skanska Traylor Joint Venture for excavation of the cavern at the 86th Street station on August 4, 2011. In January 2011, MTA awarded Judlau Contracting a 40-month, $176.4 million contract to rebuild and enlarge the Lexington Avenue–63rd Street station. Workers celebrated after the TBM reaches the BMT 63rd Street Line. Meanwhile, the tunnel boring machine dug at a rate of approximately 50 feet (15 m) per day. The machine finished its run at the planned endpoint under 65th Street on February 5, 2011. S3 partially disassembled the TBM and backed it out of the tunnel. It was repositioned in the east starter tunnel to begin boring again. Because the east side of Second Avenue has some soft ground not compatible with the Robbins TBM, ground-freezing was undertaken to prepare the soil for the TBM. On March 28, 2011, S3, having completed its task of completing the 7,200-foot (2,200 m) west tunnel to 65th Street, began drilling the east tunnel, with the first 200 feet (61 m) being through soil frozen by S3 using calcium chloride solution fed through a network of pipes. The TBM drilling the east tunnel then negotiated the curve onto 63rd Street and broke through the bellmouth at the existing Lexington Avenue–63rd Street station. That bellmouth had been built in the late 1970s and early 1980s as part of the construction of the 63rd Street Line in anticipation of the construction of the Second Avenue line. :31:D-5 The portion of the west tunnel remaining to be created was then mined using conventional drill-and-blast methods, because the curve S3 construction teams would have to negotiate was too tight for the TBM. On September 22, 2011, the TBM completed its run to the Lexington Avenue–63rd Street station's bellmouth. This major milestone was celebrated with a big ribbon-cutting to mark the TBM breaking through to the existing bellmouth. The TBM had dug a total of 7,789 feet (2,374 m) for the east tunnel. The MTA opened a Second Avenue Subway Community Information Center for Phase 1 on July 25, 2013. It was located at 1628 Second Avenue between 84th and 85th Streets, near the line's 86th Street station. In the three years that followed, the center was visited over 20,000 times. The final contract, for architectural and mechanical and electrical work at 72nd, 86th, and 96th Street stations; rehabilitation of the Lexington Avenue–63rd Street station; and the Systems Contract (track, signals, and communications) for the entire Phase 1 area was awarded on June 1, 2013. On a July 2013 "report card" that indicated the progress of the subway by Congresswoman Carolyn Maloney, the construction progress got a "B". Blasting for the station caverns was finished in November 2013, and the muck houses were taken down at around the same time. In the winter of 2013, many of the tracks and signal panels began to arrive at the construction site, to be installed on the line over the next few years. It was reported in November 2013 that one third of the tracks for the line had arrived, for the segments of track between 87th and 105th Streets; the tracks were being stored at 96th Street station. On May 2, 2014, it was reported that Phase 1 of the line was 66% complete, and six of the ten construction contracts awarded were already being worked on. As of May 21, 2015[update], the first phase of construction was more than 80% complete. By August 2015, the construction project was 84.3% complete, with all ten Phase 1 construction contracts having been awarded and 5 of them having been completed. On February 24, 2016, the MTA allocated $66 million to speed up the construction of the first phase so that it could open in December. However, in June of that year, it was reported that contractors for the MTA were not expending extra resources to accelerate the last portion of Phase 1 construction, and that the MTA had only completed 67% of testing, with the line requiring another 1,100 equipment tests by October 2016 in order to be deemed operational. The contractors and the MTA blamed the delays on each other, with the MTA saying that the contractors did not show up to work on certain days; the contractors, on the other hand, said that the MTA had asked for over 2,500 design changes during construction, and in some cases, the contractors had to destroy and rebuild sidewalks, rooms, entrances, and other design elements that had already been built. In a public meeting in May 2016, the MTA unveiled the first iteration of the New York City Subway map that included the Second Avenue Subway and a rerouted Q service. At the meeting, the MTA also made several suggestions for service changes, including making the N train express in Manhattan and replacing the Queens section of the Q, as well as the Manhattan local section of the N, with a reinstated W train. On May 16, 2016, Congresswoman Maloney released another report card on the project. The overall grade improved from a "B" to an "A-", with the caveat that the December 2016 deadline be met. By July 2016, the first phase was 96.3% complete, with only systems testing, architectural finishes, streetscape restorations, and some equipment installations to be completed. However, news outlets reported that the Second Avenue Subway had a "significant risk" of a delayed opening. The test train for the subway line was not set to run until October 2016, despite the line being projected to open within two months of that date. Also, contractors had only reached 70% of the construction milestones for June 2016, and 80% of the May 2016 milestones. For instance, communications systems at the stations were not finished, despite the fact that these systems should have been wired already, and the elevator at 72nd Street had not been delivered yet. As of July 25, 2016[update], construction spending was only $32 million for the month, even though a monthly spending goal of $46 million was needed to complete the project on time. The third rail was energized and test trains began operating in September 2016. Non-revenue Q trains ran through the subway in November 2016. Test trains began running through the new line on October 9, 2016 with weights to simulate rush hour loads, even though equipment installations at two stations, as well as a battery of tests, still needed to be completed in order for the line to be opened to passenger service. 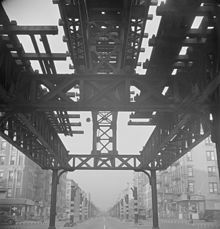 Shortly before the first test trains ran, the system's track geometry car determined that the twin bores of the 63rd Street Connector were too narrow for trains consisting of 75-foot (23 m) cars (i.e. trains made of R46s, R68s, or R68As) to enter the line. To accommodate trains of these longer cars, crews shaved down parts of the tunnel walls by mid-October 2016, in time for the test trains. Also in October, new subway signs and maps were erected systemwide in relation to Second Avenue Subway-related service changes. More than 1,300 signs were installed in over forty stations. By late October, the testing for elevators and fire alarms at 72nd Street still had not been completed, and the MTA said that there was a possibility that the subway could open with trains temporarily bypassing 72nd Street. This had been done before in September 2016, when subway trains in Chelsea temporarily bypassed several stations along 23rd Street due to bombings. There was a concern that 86th Street was also not completed, with three escalators not installed yet. The two stations were only conducting fourteen equipment tests a week, but there needed to be forty tests per week in order to ensure that the line would open on time. The tentative opening date was also clarified to "by December 31," with a possibility of a delayed opening. However, an engineer affiliated with the MTA stated that there was a possibility that the line could be delayed to 2017. In November 2016, an independent engineer on the project raised concerns, including whether the required fire safety testing could be completed by December 15. That engineer said that "unprecedented" work was required to complete the line by the year's end. December 31 was still the planned opening date, but there have been logistical and safety concerns about the line's opening on New Year's Eve. Following this, the MTA ordered that contractors finish all remaining construction on the Second Avenues Subway before December 31. Contractors were asked to work double shifts, with all remaining fire and equipment tests to be conducted on a 24-hour-per-day, 7-day-per week schedule so that the December 31 deadline could be met. By December 5, the opening date still had not been finalized, and there still remained a chance that the line would not open until 2017. Governor Andrew Cuomo (son of former Governor Mario Cuomo, who had allocated funding to the line) was leading the push to open the subway before year's end. 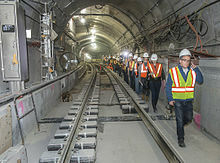 On December 10, Governor Cuomo visited two under-construction Second Avenue subway stations, later stating that he was "cautiously optimistic" that the line would open before the New Year. However, as of the MTA board's monthly meeting, which occurred two days after Cuomo's visit, the subway's opening date had still not been finalized. On December 12, Cuomo visited the 96th Street station for at least his third trip in four days. At that time, officials were hoping that the final tests would be finished before December 22. The New York Times observed that Governor Cuomo's enthusiasm to open the line by December 31 stemmed from an incident that had occurred about a year and a half earlier, where officials at the MTA told him that they wanted to push the opening date back a year or two. However, several unidentified individuals have criticized Cuomo for these actions, saying that the increased involvement in the project served merely to improve his reputation. On December 14, the MTA finally announced that December 31 would be the probable opening date for the line, with all of the line's stations to open at the same time. A day later, MTA chairman Thomas Prendergast stated that the three new stations would all open at the same time, even if that meant delaying the opening of the subway. The MTA and its contractors on the project met on a regular basis with the Manhattan Community Board 8 Second Avenue Subway Task Force and Manhattan Community Board 11 to report on construction progress and to seek input from the community. Estimated completion schedules slipped over time. When the bond issue to fund the construction was passed in 2005, the MTA said that the project would be done in 2012. This quick completion date was a part of the city's unsuccessful 2012 Summer Olympics bid; the Olympics were hosted in London instead. When construction began in 2007, the MTA stated that the new train line would open by the end of 2013. Later in 2007, the MTA gave a completion date of 2014. In its 2008 capital improvement budget proposal, the MTA pushed back completion of Phase 1 to 2015, and in 2009, the MTA pushed it back again to 2016. Some publications had predicted a December 2016 opening. Others reported that the subway would not open until 2017. This January 1 deadline was a little arbitrary, because it was set back in 2009. And since 2009 a lot has happened and a lot of adjustments have been made. The first instinct is, well let’s move the deadline. And we thought it was important to keep the deadline and that we make this deadline, especially on this project that has become notorious for delay after delay. On December 27, non-revenue testing of the line started; Q trains began to follow the regular schedule to 96th Street after discharging all passengers at 57th Street. On December 22 and 23, 2016, as part of an open house hosted by the MTA, the public was invited to tour the 96th Street station before it opened, to generally positive reaction. There was another open house on December 30, this time at the 86th Street station. The entrance to the Lexington Avenue–63rd Street station at Third Avenue, which was completed as part of Phase 1, was also opened on that date. The MTA made new maps in preparation for the extension, with 12,900 maps to be installed in subway car interiors; 1,000 maps to be installed in stations; and 150,000 portable, multilingual maps to be handed out in stations, printed in eight languages besides English. The ceremonial first train, with Governor Cuomo, Mayor Bill de Blasio and other public officials, left 72nd Street on New Year's Eve shortly after 10:30 p.m., toward 96th Street. A party was held at the 72nd Street station. The next day, on January 1, 2017, the first train left from 57th Street heading uptown. The stations on the first phase opened at 11:45 a.m, and the first trains arrived at about noon. On opening day, the stations were crowded with passengers seeking to check out the new line. About 48,200 passengers entered the new stations on that day, excluding passengers who toured the line by entering at a station in the rest of the system. The line opened to generally positive acclaim, though there were complaints about dirty trains, signal delays, and malfunctioning elevators. Two trains of R160 subway cars were wrapped in Second Avenue Subway livery to celebrate the line's opening. The 96th, 86th, 72nd, and 63rd Street stations featured new artwork by artists Sarah Sze, Chuck Close, Vik Muniz, and Jean Shin, respectively. In January 2017, compared to January 2016, ridership on the Lexington Avenue Line at the 68th Street, 77th Street, 86th Street, and 96th Street stations decreased because of the opening of Phase 1. The main decrease in ridership was at the 86th Street station, where more than 28,000 of its 120,000 daily riders switched to using the Second Avenue Subway. Overall, the Second Avenue Line's three stations and the renovated Lexington Avenue–63rd Street station saw an average weekday ridership of more than 150,000 by the end of January. The 72nd Street station was the busiest of the line's new stations, with an average daily ridership of 44,000. By April, taxi usage in the area also saw a decline of more than 20% compared to before the line's opening. By May 15, ridership had increased to 176,000 passengers a day, reducing overall usage on the Lexington Avenue Line by 26% while representing a 42% increase from the January ridership. Because of the increasing demand, Q service was increased by one downtown trip in the morning and by one uptown trip in the evening in November 2017. In addition, one R trip started running via the line to boost service. On July 13, 2018, the subway system's ridership totals for 2017 were released, showing that the opening of the line significantly decreased ridership at adjacent stations on the Lexington Avenue Line at 59th Street, 68th Street, 77th Street, 86th Street, 96th Street and 103rd Street. Ridership on the Lexington Avenue Line decreased by 28%, or 46,000 daily riders. A view of the wide island platform at 96th Street. 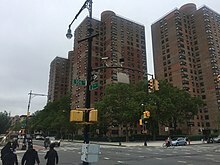 In February 2011, a lawsuit was filed by the Yorkshire Towers at 86th Street over the location of two proposed Second Avenue Subway entrances that were located right in front of the building but facing away from its semicircular driveway citing quality of life issues. However, the lawsuit was later dismissed. In an unrelated 2012 controversy, some residents in the 72nd Street station area claimed to have come down with a "Second Avenue cough" caused by dust from construction, and local doctors saw that the air quality of the area had decreased while nasal sicknesses had increased. The MTA tried to combat this by creating new structures and using other methods to reduce dust inhalation. The MTA prepared a report that said in the 86th Street station area "all monitored concentrations were below the established benchmark levels". The New York Daily News alleged that the subway project was very unsafe. For example, on August 8, 2012, an explosion caused rocks to fly all over an intersection. Less than two weeks later, on August 21, 2012, an uncontrolled blast for the station was done incorrectly, causing a large explosion that sent debris into the air and broke windows of buildings in the area and damaged nearby sidewalks. In another instance, contaminated rocks were carried away from a construction site on 63rd Street, and the incident went unnoticed. On March 19, 2013, in yet another allegation of wrongdoing, a construction worker got stuck in waist-deep muck at the 96th Street station site, but while he was extricated after four hours of rescue efforts, he nearly died after the incident. In response to noise complaints caused by blasting underground, the MTA limited blasting to before 7 p.m. each day. Before the restrictions, blasting had continued to as late as 10:30 p.m. every day, shaking buildings above the corridor. In a product-related controversy involving the Second Avenue Subway project, American Standard Testing and Consulting Laboratories (ASTCL), company president Alan Fortich, and five other executives admitted filing false documents on the subway tunnels and "thousands" of other New York City construction projects within 10 years. ASTCL had replaced Testwell Inc., another firm indicted for faking concrete tests, in 2008. Several safety tests had been rushed in order to have the line technically open by the end of 2016. At the time of the line's opening, there were 17,260 issues along the line that needed to be fixed, and critical systems such as fire alarms still needed to be tested. By May 2017, the number of discrepancies had dropped to 7,264, but it was around this time that the fire alarm systems at each station were deactivated, requiring fire safety chiefs to be posted at each station. As of September 2017[update], some of these tests had yet to be completed even though the line had been opened for eight months. The Federal Transit Administration only allowed the line to operate under a temporary safety certificate, with the permanent one expected for November of that year. In July 2017, as temperatures in the city rose, straphangers expressed complaints about the high temperatures of stations along the line, even though they were supposed to be climate-controlled. This was since the MTA had to get permission from the City Health Department to cool the air, with a test ensuring no Legionnaires' disease in the cooling towers, a precaution arising from several deadly outbreaks in the city in previous years. The MTA had not conducted the test quickly enough, but after criticism, it received permission on July 7. Climate control was expected to be turned on by July 14. This budget originally carried $1.5 billion, which would be used to start construction of the tunnels; the MTA reduced the amount of money allocated in the budget, projecting that the agency would not be able to start construction by the end of the 5-year cycle in 2019. Now, construction of the tunnels will likely be funded in future 5-year capital programs, and possibly not start until 2020. Although the MTA previously expressed concerns about funding the Capital Program, spokesman Adam Lisberg stated that the reduction in funding was a result of uncertain timing and not money problems. The delay had upset politicians and residents of East Harlem, who objected to the 3-to-4-year delay. In March 2016, the MTA began advertising Requests for Proposals (RFP) for three new contracts for the second phase, which were planned to be awarded in summer 2016. In April 2016, the MTA and the State of New York reached a deal to restore funding to Phase 2, with a total of $1.035 billion allocated. $535 million will be used to undertake preliminary construction work, such as relocating utilities, and for the design of the project, and to address environmental problems. The next $500 million would be used to prepare work for tunneling and station construction. On October 18, 2016, the de Blasio administration announced a rezoning plan for East Harlem. The plan would alter special transit zoning created in the 1970s for the Second Avenue Subway. Incentives would be offered to integrate subway infrastructure into new buildings. This is meant to improve pedestrian conditions adjacent to ventilation buildings. There would be three Special Transit Land Use (TA) districts; one for the area of the 106th Street station, one for the area of the 116th Street station, and one for the area of the Harlem–125th Street station. On November 21, 2016, the MTA requested that the Phase 2 project be entered into the Project Development phase under the Federal Transit Administration's New Starts program. On December 15, several elected officials for the area announced that they were seeking $6 billion of funding for Phase 2 of the line, including $2 billion from the federal government. These officials wished to secure funding from the presidential administration of Barack Obama before Obama's term ended on January 20, 2017. In their request for funding, they cited that they wanted to avoid an uncertain response from the administration of Donald Trump and start construction on Phase 2 as soon as possible. The FTA granted this request in late December 2016. Under the approved plan, the MTA would complete an environmental reevaluation by 2018, receive funding by 2020, and open Phase 2 between 2027 and 2029. On May 24, 2017, the MTA Board approved an amendment to the 2015–2019 Capital Program, and as part of it, the funding allocated to Phase 2 was increased by $700 million to a total of $1.735 billion. This would allow for a near-term 30 percent match per Full Funding Grant Agreement process. In November 2017, the Regional Plan Association published its Fourth Regional Plan, which, among other things, called for the completion of the full-length Second Avenue Subway. The RPA's plan also called for two additional components to be added to Phase 2. The proposed Phase 2B would extend the Second Avenue Line under 125th Street to Broadway, while the planned phase 2C would be a spur to Third Avenue–149th Street in the Bronx, connecting with the IND Concourse Line. However, these plans have not been acknowledged by the MTA, nor have they been given any funding. Phase 3, which has no funding commitments, will extend the line southward along Second Avenue from 63rd Street to Houston Street. Upon its completion, a new service will operate running between Harlem–125th Street and Houston Streets Phases 2 and 3, classified as a high-priority project by the Trump administration, may cost up to a combined total of $14.2 billion. Phase 4, which also has no funding commitments, will provide an extension from Houston Street to a permanent terminus, with storage tracks, at Hanover Square. These storage tracks, initially recommended in the SDEIS, would allow for the storage of four trains, and they would run south of Hanover Square from Coenties Slip to a traffic island located near Peter Minuit Plaza at a depth of 110 feet (34 m). :16 The Hanover Square terminal is only planned to be able to turn back 26 trains per hour instead of 30 as less capacity will be needed on the line south of 63rd Street. :26 The Hanover Square station would be deep enough to allow for the potential extension of Second Avenue Subway service to Brooklyn through a new tunnel under the East River. Brennan, Joseph (2002). "Abandoned Stations : IND Second System unfinished stations". Columbia University. Retrieved July 27, 2017. 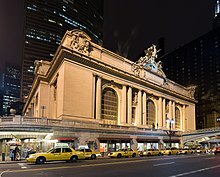 ^ The tunnel plan was revitalized as part of the 2005 Transportation Bond Act, which would connect the LIRR trackage to Grand Central Terminal via the 63rd Street Tunnel as part of the East Side Access project. ^ a b "CITY'S GROWTH DISCOUNTED IN PLANS FOR ADDING 830 MILES OF TRACK TO RAPID TRANSIT SYSTEMS; Work to Cover Period of Twenty-five Years and Cost $350,000,000--New Lines and Extensions Would Provide for a Population of Nine Millions and Carry Five Billion Passengers" (PDF). The New York Times. October 3, 1920. ISSN 0362-4331. Retrieved January 2, 2017. ^ a b c d e f g h i Paumgarten, Nick (February 6, 2017). "The Second Avenue Subway Is Here!". The New Yorker. Retrieved February 24, 2017. ^ a b Turner, Daniel L. (January 1, 1920). Report by the chief engineer submitting for consideration a comprehensive rapid transit plan covering all boroughs of the city of New York. New York : Office of Transit Construction Commissioner – via archive.org. ^ a b "100 MILES OF SUBWAY IN NEW CITY PROJECT; 52 OF THEM IN QUEENS". The New York Times. September 16, 1929. p. 1. ISSN 0362-4331. Retrieved December 14, 2016. ^ a b c d e f g h i j k l m n o p q r s t u v Raskin, Joseph B. (2013). The Routes Not Taken: A Trip Through New York City's Unbuilt Subway System. New York, New York: Fordham University Press. ISBN 978-0-82325-369-2. ^ a b c d e f g h i j k l m n o p q r s The Second Avenue Subway Line. . . the line that almost never was. New York City Transit Authority. 1972. Retrieved September 30, 2015 – via nycsubway.org. ^ "NEW UNIFIED SUBWAY PLAN IS OFFERED BY MERCHANTS TO SAVE CITY $300,000,000; WOULD SCRAP CITY PLAN Substitution of Trunk Lines for Proposed Routes Is Urged. THIRD AV. TUBE IS WANTED Association Favors Making of an Immediate Agreement With Companies. CONDEMNS PRESENT PLAN Says It Would Give Little Relief and Would Mean Tax and Fare Increases. MERCHANTS OFFER NEW SUBWAY PLAN" (PDF). The New York Times. January 17, 1927. Retrieved September 29, 2017. ^ "FIRST AV. RENEWS ITS SUBWAY DRIVE; Property Owners Announce Their Willingness to Bear Cost of Transit Improvement" (PDF). The New York Times. August 31, 1924. Retrieved September 29, 2017. ^ a b c d e f g h i j k l m n o p q Jewler, Sam (July 24, 2004). "The Long, Tortured History of the Second Avenue Subway". The New Yorker. Retrieved August 14, 2015. ^ a b c d e f g h i j k l m n "Second Avenue Subway Final Environmental Impact Statement (FEIS), May 2004 Appendix B Development of Alternatives" (PDF). mta.info. Metropolitan Transportation Authority. May 2004. Retrieved August 7, 2016. ^ "MANHATTAN SALES: Second Avenue Subway Project Causes 50 Percent Rise in Prices" (PDF). The New York Times. September 2, 1929. Retrieved August 14, 2015. ^ "OPERATORS ACTIVE ALONG SECOND AV. ; They Purchase Tenements on the Route of Proposed New Subway. SEWARD ENRICH A SELLER Three Buildings at 49th St. Corner Bought by Arthur Dryfoos-- Moses Ginsberg Buys Site" (PDF). The New York Times. October 3, 1929. ISSN 0362-4331. Retrieved December 31, 2016. ^ "SECOND AV. SALES FEATURE MARKET; Brokers Report Deals Involving Properties Along Route of Proposed Subway. OPERATORS ACTIVE THERE Moses Ginsberg Acquires the Southeast Corner of 42d Street--Other Manhattan Sales" (PDF). The New York Times. October 11, 1929. ISSN 0362-4331. Retrieved December 31, 2016. ^ "SUBWAY LOOP TO LINK 125TH AND 34TH STS. ; Board Plans Line Under Those Thoroughfares to Tap North and South Bound Routes. TO RUN BENEATH 2D AVENUE Proposal in Tentative Form Is Approved by 34th Street Midtown Association. Plans in Tentative Stage. $800,000,000 Plans Ready Soon. SUBWAY LOOP TO LINK 125TH AND 34TH STS. Stress Loop's Advantages" (PDF). The New York Times. May 12, 1930. ISSN 0362-4331. Retrieved December 22, 2016. ^ a b c d "Second Avenue Subway Project – History". mta.info. Metropolitan Transportation Authority. October 19, 2002. Archived from the original on October 19, 2002. Retrieved February 15, 2016. ^ a b c d e f "Manhattan East Side Transit Alternatives (MESA): Major Investment Study/Draft Environmental Impact Statement, August 1999". Metropolitan Transportation Authority, United States Department of Transportation, Federal Transit Administration. August 1999. Retrieved July 11, 2016. ^ "TWO 'EL' LINES END TRANSIT SERVICE; Part of Ninth Ave., First in the World, and Second Ave. Mark Last Runs PASSING IS NOT MOURNED American Woman's Club Holds Wake in Jubilation Over Cessation of Noise" (PDF). The New York Times. June 12, 1940. ISSN 0362-4331. Retrieved August 28, 2017. ^ a b c "Board of Transportation – 1951". Thejoekorner.com. Retrieved March 25, 2014. ^ a b c Neuman, William (March 24, 2007). "A Museum-Quality Car for a Subway Yet Unbuilt". The New York Times. Retrieved September 30, 2015. ^ "U.S. Transportation Secretary Signs Record $2.6 Billion Agreement To Fund New Tunnel Network To Give Long Island Commuters Direct Access to Grand Central Station" (Press release). U.S. Department of Transportation. December 18, 2006. Archived from the original on July 9, 2009. Retrieved January 18, 2007. ^ Crowell, Paul (September 14, 1951). "$500,000,000 VOTED FOR 2D AVE. SUBWAY BY ESTIMATE BOARD" (PDF). The New York Times. Retrieved January 2, 2017 – via The New York Times Archive. ^ a b c d Levey, Stanley (January 17, 1957). "Dwindling Transit Funds; Most of Half-Billion Voted for a 2d Ave. Subway Has Gone Elsewhere The Situation Changes Modernization Is Pushed". The New York Times. ISSN 0362-4331. Retrieved January 3, 2017. ^ Katz, Ralph (May 13, 1955). "Last Train Rumbles On Third Ave. 'El'; An Era Ends With Final Run of Third Avenue 'El' LAST TRAIN ROLLS ON THIRD AVE. 'EL'" (PDF). Retrieved December 14, 2016. ^ a b c d e "Second Avenue Subway Final Environmental Impact Statement (FEIS): Appendix B: Development of Alternatives" (PDF). mta.info. Metropolitan Transportation Authority. May 2004. Retrieved August 5, 2015. ^ "The Subway Compromise" (PDF). The New York Times. July 28, 1969. ISSN 0362-4331. Retrieved December 14, 2016. ^ Text of the Urban Mass Transportation Act of 1964. Retrieved August 14, 2015. ^ "Full text of "Metropolitan transportation, a program for action. Report to Nelson A. Rockefeller, Governor of New York."". Internet Archive. November 7, 1967. Retrieved February 12, 2016. ^ a b Metropolitan Transit Authority Capital Program and 63rd Street Tunnel: Hearing Before a Subcommittee of the Committee on Appropriations, United States Senate, Ninety-ninth Congress, First Session : Field Hearing, New York, NY, Congressional Witnesses, Department of Justice, Department of Transportation, Nondepartmental Witnesses. U.S. Government Printing Office. 1986. ^ "DESIGN PACT SET FOR NEW SUBWAY". The New York Times. August 17, 1970. ISSN 0362-4331. Retrieved December 24, 2016 – via New York Times Archive. ^ a b c d e f g h i Second Ave subway construction, 34th St to 126th St, Manhattan Draft Environmental Impact Statement. Urban Mass Transportation Administration. March 1972 – via Hathitrust. ^ a b A Realistic Master Plan for the Here and Now. New York Magazine. New York: New York Media, LLC. December 1, 1969. pp. 48–51 – via Google Books. ^ a b c "SLATTERY IS LOW IN BID ON SUBWAY". The New York Times. September 14, 1972. ISSN 0362-4331. Retrieved December 24, 2016 – via New York Times Archives. ^ a b c d e f g h i ROUTE 132-C – PHASE I REPORT, Second Avenue and Water Street Subway. New York City Transit Authority. June 1973. Retrieved February 13, 2016 – via nycsubway.org. ^ a b Moran, Nancy (August 28, 1970). "2d Avenue Subway to Get Just 3 Stops North of 57th". The New York Times. ISSN 0362-4331. Retrieved December 25, 2016 – via New York Times Archives. ^ a b Route 132-B - Second Avenue Subway, The Bronx, Study C, Supplement to Phase 1 Design Development Report. New York City Transit Authority. April 1975 – via nycsubway.org. ^ a b c "Notice of Public Hearing Southern Extension of the Second Avenue Line for the New York City Transit System". New York Daily News. February 16, 1973. Retrieved December 8, 2018. ^ a b DRAFT ENVIRONMENTAL STATEMENT, SECOND AVENUE SUBWAY, ROUTE 132-C Whitehall Street to 34th Street, Manhattan March, 1973. Urban Mass Transportation Administration. March 1973 – via nycsubway.org. ^ a b c d e f Cohen, Richard (February 8, 1971). Second Avenue Subway: Bumpy Road Ahead. New York Magazine. New York: New York Media, LLC. pp. 36–39 – via Google Books. ^ a b New York Affairs. Urban Periodicals, Incorporated. 1980. ^ a b c Prial, Frank J. (August 28, 1971). "M.T.A. Adds a Stop, 72d St., To Its 2d Avenue Subway Plan" (PDF). The New York Times. p. 29. Retrieved December 21, 2016. ^ Reeves, Richard (September 2, 1970). "Ronan Pledges Public Hearings On 2d Ave. Subway Station Sites". The New York Times. ISSN 0362-4331. Retrieved February 6, 2018. ^ a b Second Ave Subway Construction, 34th St to 126th St, Manhattan: Environmental Impact Statement. New York City Transit Authority. 1970. Retrieved March 27, 2018. ^ Spiegel, Irving (October 4, 1971). "M.T.A. Agrees to Station At 96th St. on 2d Ave. Line". The New York Times. ISSN 0362-4331. Retrieved December 21, 2016. ^ a b New York Media, LLC (February 8, 1971). New York Magazine. New York Media, LLC. pp. 39–. ISSN 0028-7369. ^ Burks, Edward C. (January 31, 1970). "Lower East Side Loop Offered For 2d Ave. Subway by M.T.A." The New York Times. ISSN 0362-4331. Retrieved December 25, 2016 – via New York Times Archive. ^ Burks, Edward C. (March 20, 1970). "Board Approves Downtown Subway Route and East Side Loop". The New York Times. ISSN 0362-4331. Retrieved December 25, 2016 – via New York Times Archive. ^ "U.S. Agrees to Aid 2d Avenue Subway". The New York Times. June 11, 1972. ISSN 0362-4331. Retrieved December 24, 2016 – via New York Times Archive. ^ a b "Second Avenue Subway". mta.info. Metropolitan Transportation Authority. Archived from the original on April 8, 2014. Retrieved April 7, 2014. ^ a b "Rockefeller and Lindsey Break Ground for 2d Avenue Subway" (PDF). The New York Times. October 28, 1972. Retrieved December 21, 2016 – via nytimes.com archive. ^ a b c d Burks, Edward C. (October 25, 1973). "GROUND IS BROKEN FOR 2D AVE. LINK; Downtown Subway Section Begins With Ceremony Led by Lindsay and Ronan Projects Are Listed Interest in French Train" (PDF). The New York Times. p. 51. Retrieved October 4, 2015. ^ Seigel, Max H. (February 18, 1973). "Network of Uncharted Utility Lines Is Found in Digging for 2d Ave Subway". The New York Times. ISSN 0362-4331. Retrieved December 24, 2016 – via New York Times Archives. ^ a b c Montgomery, Paul L. (January 10, 1975). "2d Ave. Tunnelers Push On, Despite Potential Futility; Proposal by Beame" (PDF). The New York Times. p. 78. Retrieved October 4, 2015 – via New York Times Archives. ^ a b (State), New York. New York Court of Appeals. Records and Briefs. : 74 NY2D 166, RECORD part 2, THOMAS CRIMMINS CONTRACTING CO V CITY OF NEW YORK. ^ a b c d e f Burks, Edward C. (July 26, 1974). "Beame and Wilson Man the Jackhammers To Start 4th Segment of 2d Ave. Subway; A 1920's Project Some See No Alternative Rush Hour Still Jammed Headache for Neighbors Completion Set for '75" (PDF). The New York Times. p. 10. Retrieved October 4, 2015. ^ "Firm Granted of Subway Job". The Times Record. Troy, New York. March 29, 1974. p. 26. Retrieved December 8, 2018. ^ a b Engineering News-record. 192. McGraw-Hill. January 1974. ^ "Beame Proposes Improvement of Subway Entrances". The New York Times. October 1, 1974. ISSN 0362-4331. Retrieved December 25, 2016 – via New York Times Archive. ^ Burks, Edward C. (July 13, 1974). "2d Ave. Subway Plan Includes A Provision for Widening Street". The New York Times. ISSN 0362-4331. Retrieved December 25, 2016 – via New York Times Archive. ^ a b Kheel, Theodore (April 23, 1973). A Fare Question. New York Magazine. New York: New York Media, LLC. pp. 52–53 – via Google Books. ^ Burks, Edward C. (November 1, 1974). "2D AVE. SUBWAY DELAYED TILL '86‐AS COSTS SPIRAL". The New York Times. ISSN 0362-4331. Retrieved December 24, 2016 – via New York Times Archives. ^ Burks, Edward C. (December 14, 1974). "2D AVE, SUBWAY FACES NEW DELAY". The New York Times. ISSN 0362-4331. Retrieved December 24, 2016 – via New York Times Archive. ^ Burks, Edward C. (December 23, 1974). "Beame Urged to Continue Work on 2d Ave. Subway". The New York Times. ISSN 0362-4331. Retrieved December 24, 2016 – via New York Times Archive. ^ "June 1975 Metropolitan Transportation Authority Public Hearings". New York Daily News. May 23, 1975. Retrieved December 8, 2018. ^ a b Burks, Edward C. (September 26, 1975). "WORK IS STOPPED ON SUBWAY LINE; City Lacks Funds to Finish Part of 2d Ave. Project" (PDF). The New York Times. p. 41. Retrieved October 4, 2015. ^ Williams, Lena (August 21, 1977). "Hazards Resulting From Second Avenue Subway Construction Persist". The New York Times. ISSN 0362-4331. Retrieved February 9, 2018. ^ Williams, Lena (June 24, 1977). "Once‐Hailed Subway Is Scorned in East Harlem". The New York Times. ISSN 0362-4331. Retrieved February 9, 2018. ^ a b Chan, Sewell (November 14, 2005). "The Bond Passed. Now Comes the Hard Part: Actually Building a 2nd Avenue Subway". The New York Times. Retrieved April 7, 2014. ^ Tomasky, Michael (August 12, 1996). The Olympic Pipe Dream. New York Magazine. New York: New York Media, LLC. pp. 16–17 – via Google Books. ^ a b c d Sargent, Greg (March 29, 2004). "The Line That Time Forgot – Second Avenue Subway". New York Magazine. Retrieved August 2, 2009. ^ Manhattan East Side Transit Alternatives Study (MESA): Environmental Impact Statement. 1999. ^ a b Johnston, Garth (February 1, 2012). "Explore The Abandoned Second Avenue Subway Tunnels". gothamist.com. Gothamist. Archived from the original on March 9, 2017. Retrieved December 14, 2016. ^ a b Goldman, Ari L. (August 2, 1982). "FOR RNT BY M.T.A. : 2 TUNLS, NEED WRK, NO VU". The New York Times. ISSN 0362-4331. Retrieved December 24, 2016 – via New York Times Archive. ^ Haitch, Richard (September 26, 1982). "Follow-up on the News; 'subway' for Rent". The New York Times. ISSN 0362-4331. Retrieved February 12, 2018. ^ a b Martinez, Jose (December 7, 2018). "A Rare Look at a Second Avenue Subway Tunnel Never Used". www.ny1.com. Retrieved December 8, 2018. ^ Finder, Alan (April 19, 1994). "A Tunnel Waiting Two Decades for a Train; Shafts for the Second Avenue Subway Are Maintained, in Case the Line Is Ever Built". The New York Times. p. B1. Retrieved December 23, 2016. Anastasio, Joseph (October 29, 2008). "Second Avenue Subway, 1970s Harlem Segment". LTV Squad. Retrieved December 30, 2016. ^ "2nd Avenue Subway Tentative Track Plan Manhattan Portion". nycsubway.org. Retrieved December 30, 2016. ^ a b "Second Avenue Subway History". mta.info. Metropolitan Transportation Authority. April 12, 2007. Archived from the original on December 21, 2015. Retrieved March 31, 2016. In April 2004, the Second Avenue Subway Final Environmental Impact Statement (FEIS) was published. ^ "Second Avenue Subway Final Environmental Impact Statement (FEIS)". MTA Capital Construction. Retrieved March 31, 2016. , first released in April 2004. ^ "96th Street Station Area" (PDF). mta.info. Second Avenue Subway Newsletter. October 2013. Retrieved February 14, 2016. ^ "96th Street Station Area" (PDF). mta.info. Second Avenue Subway Newsletter. November 2013. Retrieved February 14, 2016. ^ a b c Fitzsimmons, Emma G. (October 29, 2015). "Anger in East Harlem Over New Delays in 2nd Ave. Subway Plans". The New York Times. Retrieved November 3, 2015. ^ Vilensky, Mike (December 29, 2016). "MTA Rethinks Approach to Second Avenue Subway". Wall Street Journal. ISSN 0099-9660. Retrieved January 7, 2017. ^ a b c d e "Second Avenue Subway Final Environmental Impact Statement (FEIS): Chapter 2: Project Alternatives" (PDF). mta.info. Metropolitan Transportation Authority. May 2004. Retrieved August 5, 2015. ^ a b "Second Avenue Subway Final Environmental Impact Statement (FEIS): Deep Chrystie Option" (PDF). mta.info. Metropolitan Transportation Authority. May 2004. Retrieved July 9, 2015. ^ Donohue, Pete (June 24, 2013). "Underground subway party could put organizers in hot water: MTA". Retrieved December 14, 2016. ^ a b "Second Avenue Subway Final Environmental Impact Statement (FEIS): Chapter 3: Description of Construction Methods and Activities" (PDF). mta.info. Metropolitan Transportation Authority. May 2004. Retrieved August 5, 2015. ^ "Second Avenue Subway Final Environmental Impact Statement (FEIS): Track Diagram, South of 57th Street" (PDF). mta.info. Metropolitan Transportation Authority. May 2004. Retrieved July 9, 2015. ^ a b c d e "Second Avenue Subway in the Borough of Manhattan, New York County, New York Final Environmental Impact Statement And Final Section 4(f) and Section 6(f) Evaluation". April 2004. pp. 1–5, 1–6. Archived from the original (PDF) on April 8, 2014. Retrieved September 22, 2011. ^ a b c d e f "Cuomo: Second Ave. subway to open New Year's Day". am New York. December 19, 2016. Retrieved December 20, 2016. ^ "Annual Bus Ridership". mta.info. Metropolitan Transportation Authority. Retrieved December 14, 2016. ^ "Average Weekday Bus Ridership". mta.info. Metropolitan Transportation Authority. Retrieved December 14, 2016. ^ a b Fitzsimmons, Emma G. (December 19, 2016). "2nd Avenue Subway Will Open on New Year's Day, M.T.A. Says". The New York Times. ISSN 0362-4331. Retrieved December 19, 2016. ^ a b * Andrea Gryme (May 1, 2014). "Progress Moves Ahead For Phase One Of Second Avenue Subway « CBS New York". CBS Local Media, a division of CBS Radio Inc. Retrieved May 4, 2014. Sanders, Anna (May 1, 2014). "10 facts about the Second Avenue Subway". Metro.us. Archived from the original on May 2, 2014. Retrieved May 4, 2014. ^ a b c Rivoli, Dan (May 1, 2014). "Second Avenue Subway progress: Dec. 2016 end date on track". AM New York. Retrieved May 14, 2014. ^ a b Michael Hession (May 2, 2014). "A Subterranean Stroll Through NYC's Newest Train Tunnel". Gizmodo.com. Retrieved May 4, 2014. ^ Finder, Alan (September 25, 1991). "Cuomo Ideas for New York City: Some Are Old, Some Are New". The New York Times. Retrieved April 9, 2018. ^ Wald, Matthew L. (October 28, 1993). "Next Mayor Faces Expensive Challenges on Basic Services and Repairs". The New York Times. Retrieved April 9, 2018. ^ a b c d e f g h i j k "Manhattan East Side Transit Alternatives (MESA)/Second Avenue Subway Summary Report" (PDF). mta.info. Metropolitan Transportation Authority. October 11, 2001. Retrieved August 9, 2016. ^ a b c d e f g h i j k l m "Second Avenue Subway Supplemental Draft Environmental Impact Statement (SDEIS), April 2003 Appendix B Development of Alternatives" (PDF). mta.info. Metropolitan Transportation Authority. April 2003. Retrieved August 9, 2016. ^ a b c d Manhattan East Side Transit Alternatives Study (MESA) Environmental Impact Statement. Metropolitan Transportation Authority. December 1998 – via Hathitrust. ^ a b "Supplemental Draft Environmental Impact Statement on the Manhattan East Site Alternatives Project—"Second Avenue Subway." AGENCY: Federal Transit Administration, DOT. ACTION: Notice of intent to prepare a supplemental draft environmental impact statement" (PDF). mta.info. Federal Transit Administration. March 22, 2001. p. 2. Retrieved August 9, 2016. ^ Newman, Andy (April 20, 2000). "New Subway Line in Transit Budget". The New York Times. Retrieved April 9, 2018. ^ "METRO NEWS BRIEFS: NEW YORK; M.T.A. 's Capital Plan Wins Final Approval". The New York Times. May 5, 2000. Retrieved April 9, 2018. ^ "CAMPAIGN 2000: The New York Senate Debate; Excerpts From Second Debate Between Mrs. Clinton and Lazio". The New York Times. October 9, 2000. ISSN 0362-4331. Retrieved January 12, 2017. ^ Arnold, Hallie (December 18, 2003). "Hinchey and Sweeney grab federal aid". Taconic Press. p. A7. Retrieved August 10, 2016 – via Fultonhistory.com. ^ Haughney, Christine (August 22, 2011). "Train Line Far From Arrival Has a Color to Be Noticed". The New York Times. Retrieved August 14, 2015. ^ "MTA Capital Construction – Second Avenue Subway Project Description". mta.info. Metropolitan Transportation Authority. Archived from the original on April 8, 2014. Retrieved October 5, 2013. ^ "Second Avenue Subway Final Environmental Impact Statement (FEIS), May 2004 Figure 2-4 Track Diagram, South of 55th Street" (PDF). mta.info. Metropolitan Transportation Authority. May 2004. Retrieved August 7, 2016. ^ a b "Community Board 8 Second Avenue Subway Task Force" (PDF). mta.info. Metropolitan Transportation Authority. June 17, 2008. Archived (PDF) from the original on April 8, 2014. Retrieved December 18, 2016. ^ "Supplemental Environmental Assessment to the Second Avenue Subway Final Environmental Impact Statement: 72nd and 86th Street Station Entrance Alternatives Chapter 1: Purpose and Need" (PDF). mta.info. Metropolitan Transportation Authority. October 29, 2009. Retrieved August 9, 2016. ^ a b c "Chapter 2: Description of Phase 2 Modified Design". Supplemental Environmental Assessment to the Second Avenue Subway Final Environmental Impact Statement: Phase 2 (PDF). Metropolitan Transportation Authority. July 2018. Retrieved July 13, 2018. ^ Donohue, Pete (August 4, 2006). "Cooler Subways Coming Eventually". New York Daily News. Archived from the original on October 10, 2007. Retrieved December 12, 2008. ^ Neuman, William (April 5, 2007). "2nd Ave. Subway Platforms May Get Glass Walls and Sliding Doors". The New York Times. ISSN 0362-4331. Retrieved January 12, 2017. ^ "NYC Subway Deaths Spur Officials to Call for Action". The Epoch Times. Archived from the original on November 5, 2013. ^ a b * Putzier, Konrad (May 14, 2014). "Real Estate Weekly » Blog Archive » Light at end of tunnel for Second Ave. subway". Rew-online.com. Retrieved June 5, 2014. ^ a b "Drone takes tour of NYC's 2nd Avenue subway line". CBS News. September 16, 2015. Retrieved October 27, 2016. ^ Stabile, Tom (May 2006). "New York's Subway System Finally Starting Major Expansion". newyork.construction.com. Archived from the original on May 9, 2008. Retrieved December 12, 2008. ^ Nolan, Caitlin (May 16, 2014). "Second Avenue subway line construction is progressing: officials". New York Daily News. Retrieved May 19, 2014. ^ Smith, Stephen J. (October 2, 2013). "The Next 20 Years for New York's MTA – Next City". Nextcity.org. Retrieved June 5, 2014. ^ a b "New York City 2nd Ave Subway Phase 2 Profile" (PDF). FTA. December 27, 2016. Archived from the original (PDF) on January 5, 2017. Retrieved January 4, 2017. ^ a b "The Second Avenue subway explained". am New York. Retrieved October 27, 2016. ^ Chan, Sewell (November 9, 2005). "Voters Approve Transit Bonds for $2.9 Billion". The New York Times. Retrieved September 20, 2007. ^ "U.S. Transportation Secretary Signs Record $2.6 Billion Agreement to Fund New Tunnel Network To Give Long Island Commuters Direct Access to Grand Central Station". United States Department of Transportation. December 18, 2006. Archived from the original on July 9, 2009. Retrieved September 20, 2007. ^ a b "Second Avenue Subway: A Status Report" (PDF). Archived from the original (PDF) on July 21, 2011. Retrieved August 2, 2009. ^ Stabile, Tom (September 19, 2017). "Second Ave. Subway Sets Next-Century Standards". ENR. Retrieved December 1, 2017. ^ "S-4 Proposed Phase 1" (PDF). mta.info. Metropolitan Transportation Authority. May 2004. Retrieved December 28, 2016. ^ "Second Avenue Subway FTA Record of Decision" (PDF). transit.dot.gov. Federal Transit Administration. August 2004. Retrieved December 28, 2016. ^ "Tech Memo #1 SAS" (PDF). transit.dot.gov. Federal Transit Administration. January 5, 2007. p. 3. Archived (PDF) from the original on September 8, 2015. Retrieved December 28, 2016. ^ "First Construction Contract Signed for Second Avenue Subway; Work to Begin in April". mta.info. Metropolitan Transportation Authority. March 20, 2007. Retrieved December 18, 2016. ^ Olshan, Jeremy (March 21, 2007). "Second Ave. Tunnel Vision". New York Post. Archived from the original on April 16, 2009. Retrieved January 9, 2009. ^ "MTA Signs Second Ave. Subway Contract". New York Sun. March 21, 2007. Retrieved February 20, 2010. ^ "Top Projects" (PDF). NY Construction. p. 1. Archived from the original (PDF) on September 16, 2012. Retrieved December 18, 2016. ^ Neuman, William (April 13, 2007). "Was There a Ghost? No, Just a Tunnel at the Latest Subway Groundbreaking". The New York Times. ISSN 0362-4331. Retrieved June 12, 2017. ^ a b "Second Avenue Subway Breaks Ground" (Press release). Metropolitan Transportation Authority. April 12, 2007. Retrieved December 24, 2015. ^ "MTA Capital Construction – Second Avenue Subway: History". mta.info. Metropolitan Transportation Authority. Archived from the original on April 8, 2014. ^ Neuman, William (November 19, 2007). "U.S. Approves $1.3 Billion for 2nd Avenue Subway". The New York Times. Retrieved November 19, 2007. ^ "Second Avenue Subway Task Force Community Board Eight" (PDF). mta.info. Metropolitan Transportation Authority Capital Construction. July 29, 2008. Retrieved August 2, 2009. ^ "Community Board Eight SECOND AVENUE SUBWAY PROJECT Second Avenue Subway Task Force" (PDF). mta.info. Metropolitan Transportation Authority Capital Construction. June 17, 2008. Retrieved August 2, 2009. ^ ""SECOND AVENUE SUBWAY PROJECT" Managing Construction and its Challenges in One of the Country's Densest Urban Environments" (PDF). apta.com. American Public Transportation Association. 2013. Retrieved December 23, 2016. ^ Goodrich, William (2013). "SECOND AVENUE SUBWAY PROJECT" (PDF). apta.com. 2013 Rail Conference. Retrieved December 16, 2016. ^ Namako, Tom (June 6, 2009). "2nd Ave. Subway Caused Building Evac: Officials". New York Post. ^ Sutherland, Amber; Namako, Tom (July 1, 2009). "Second Ave. Tenants RIP 'Train Wreck'". New York Post. ^ Rivoli, Dan (September 2, 2009). "2nd Ave. Subway Delays". Our Town. Archived from the original on July 15, 2011. Retrieved February 20, 2010. ^ Simeone, Jessica; Namako, Tom (September 26, 2009). "Second Ave. on Snail Rail". New York Post. ^ a b Siff, Andrew (May 14, 2010). "2nd Ave. Subway Tunnel Dig Begins". WNBC. Retrieved May 14, 2010. ^ "MTA Launches Second Avenue Subway Tunnel Boring Machine" (Press release). Metropolitan Transportation Authority. May 14, 2010. Retrieved October 5, 2013. ^ Davidson, G.; Howard, A.; Jacobs, L.; Pintabona, R.; Zernich, B. (2014). North American Tunneling: 2014 Proceedings:. Society for Mining Metallurgy. p. 301. ISBN 978-0-87335-400-4. Retrieved November 15, 2015. ^ "COMMUNITY BOARD EIGHT PROJECT UPDATE" (PDF). Metropolitan Transportation Authority. September 26, 2011. Retrieved November 15, 2015. ^ "MTA Capital Construction – Procurement". Metropolitan Transportation Authority. ^ "Freeze Ground, Thaw Hearts". Engineering News. February 2, 2011. Archived from the original on September 14, 2015. Retrieved August 15, 2015. ^ a b "Second Avenue Subway TBM Breakthrough 9/22/2011". MTAPhotos. Flickr. Retrieved October 5, 2013. ^ "Excavation of West Tunnel for Second Avenue Subway Almost Complete" (Press release). Metropolitan Transportation Authority. Retrieved February 5, 2011. ^ "Boring Manhattan: Ceremony Launches Subway Project". WCBS-TV. Associated Press. May 14, 2010. Archived from the original on May 17, 2010. Retrieved May 14, 2010. ^ Roth, Jamie (May 14, 2010). "Boring for new 2nd Avenue subway begins". WABC-TV. Retrieved May 14, 2010. ^ a b "Tunneling for Second Avenue Subway Continues". Metropolitan Transportation Authority. March 28, 2011. Retrieved September 24, 2011. ^ a b "Tunneling for Second Avenue Subway Complete". mta.info. Metropolitan Transportation Authority. September 23, 2011. Retrieved December 20, 2016. ^ East 63rd St line, Manhattan/Queens boroughs, New York :environmental impact statement. Urban Mass Transportation Administration. January 1973. ^ "Second Avenue Subway has a breakthrough moment; several billion more are all the M.T.A. wants". Capital NY. September 23, 2011. Retrieved May 27, 2014. ^ "Second Avenue Subway has a breakthrough moment; several billion more are all the M.T.A. wants". Politico PRO. September 23, 2011. Retrieved December 20, 2016. ^ "MTA | news | MTA Opens Second Avenue Subway Community Information Center". MTA.info. July 25, 2013. Retrieved May 19, 2014. ^ "MTA Opens Second Avenue Subway Community Information Center". DNA Info. July 26, 2013. Archived from the original on May 19, 2014. Retrieved May 19, 2014. ^ "MTA Unveils Second Avenue Subway Information Center On Upper East Side". CBS New York. July 25, 2013. Retrieved May 19, 2014. ^ "mta.info | Capital Programs Second Avenue Subway". MTA.info. Retrieved May 19, 2014. ^ a b "Information center opening in May for next phase of Second Avenue Subway". New York's PIX11 / WPIX-TV. April 25, 2017. Retrieved April 25, 2017. ^ "MTA Awards Final Contract to Build Phase 1 of the Second Avenue Subway" (Press release). Metropolitan Transportation Authority. June 13, 2013. Retrieved November 15, 2015. ^ Maloney, Carolyn (July 29, 2013). "Fourth Second Avenue Subway Report Card" (PDF). maloney.house.gov. Office of Congresswoman Carolyn Maloney. Retrieved December 15, 2016. ^ Mann, Ted (November 22, 2013). "Blasting Completed on Second Avenue Subway Project". The Wall Street Journal. Retrieved November 15, 2015. ^ a b c "Second Avenue Subway Quarterly Report Q4 2013" (PDF). mta.info. Metropolitan Transportation Authority. 2013. Retrieved December 17, 2016. ^ Harshbarger, Rebecca (November 4, 2013). "MTA gives new peek at 2nd Ave. subway". New York Post. Retrieved May 13, 2014. ^ Rebecca Harshbarger (May 21, 2015). "Second Avenue Subway more than 80 percent complete". New York Post. Retrieved June 1, 2015. ^ "July 2015 Task Force Presentation" (PDF). mta.info. Metropolitan Transportation Authority. July 2015. Retrieved August 9, 2015. ^ "MTA Will Tap Into Back-Up Fund to Finish Second Ave. Subway On Time: Board". DNAinfo New York. Archived from the original on February 27, 2016. Retrieved March 6, 2016. ^ Rivoli, Dan (June 20, 2016). "Contractor in no hurry to help finish Second Ave. subway project". New York Daily News. Retrieved June 21, 2016. ^ Furfaro, Danielle (June 21, 2016). "There's a good chance the Second Avenue Subway won't be finished on time". New York Post. Retrieved June 21, 2016. ^ Furfaro, Danielle (June 23, 2016). "Blame design changes for the Second Avenue Subway delays". New York Post. Retrieved June 23, 2016. ^ "It's Official: MTA Adds Second Avenue Subway Line to its Maps". TWC News. May 25, 2016. Retrieved May 26, 2016. ^ "May 2016 – MTA Board Action Items" (PDF). Metropolitan Transportation Authority: 56–67. May 2015. Archived from the original (PDF) on June 17, 2016. Retrieved May 27, 2016. ^ Maloney, Carolyn B. "With Construction over 94% complete, Rep. Maloney Gives 2nd Avenue Subway an A- on 2016 Report Card". Carolyn B. Maloney. Retrieved February 22, 2017. ^ Peyton, Tom (July 21, 2016). "Community Board 8 Second Avenue Subway Task Force Update" (PDF). mta.info. Metropolitan Transportation Authority. Retrieved July 25, 2016. ^ a b Tangel, Andrew (July 26, 2016). "Second Avenue Subway Project Is Slowed". Wall Street Journal. ISSN 0099-9660. Retrieved July 26, 2016. ^ Plitt, Amy (July 26, 2016). "Second Avenue Subway at 'significant risk' of being delayed again". Curbed NY. Retrieved July 26, 2016. ^ a b "'Disappointing Delay' in June Puts 2nd Ave. Subway Behind: MTA Consultant". DNAinfo New York. Archived from the original on August 21, 2016. Retrieved July 26, 2016. ^ "Sources: MTA Powered Third Rail for Testing on Second Avenue Subway Tracks". TWC News. September 16, 2016. Retrieved September 18, 2016. ^ Rivoli, Dan (October 10, 2016). "SEE IT: MTA finally testing trains along Second Ave. subway line". New York Daily News. Retrieved October 10, 2016. ^ Furfaro, Danielle (October 10, 2016). "MTA finally starts testing trains on the Second Avenue Subway". New York Post. Retrieved October 10, 2016. ^ 2nd Avenue Subway (October 27, 2016). Second Avenue Subway Test Train. Retrieved October 28, 2016 – via YouTube. ^ Rivoli, Dan (October 23, 2016). "Second Ave. subway crews carve tunnel wall to fit trains". NY Daily News. Retrieved October 23, 2016. ^ a b c Fitzsimmons, Emma G. (October 24, 2016). "After Almost a Century, the 2nd Avenue Subway Is Oh-So-Close to Arriving". The New York Times. ISSN 0362-4331. Retrieved October 27, 2016. ^ Rivoli, Dan (October 25, 2016). "MTA creating 1,300 subway signs for return of W train". NY Daily News. Retrieved October 28, 2016. ^ a b Fitzsimmons, Emma G. (October 26, 2016). "2 Stations on New 2nd Avenue Line May Not be Ready by December". The New York Times. ISSN 0362-4331. Retrieved October 27, 2016. ^ Rivoli, Dan (December 15, 2015). "Second Ave. subway may miss December 2016 opening deadline". NY Daily News. Retrieved October 27, 2016. ^ Krisel, Brendan (October 26, 2016). "Independent Engineer Concerned Again for December Launch of Second Avenue Subway". Upper East Side, NY Patch. Retrieved October 27, 2016. ^ a b Fitzsimmons, Emma G. (November 14, 2016). "'Unprecedented' Work Required to Open 2nd Avenue Subway by Year's End, Officials Say". The New York Times. ISSN 0362-4331. Retrieved November 17, 2016. ^ "MTA: 2nd Ave. subway's Dec. 31 launch poses 'challenges'". am New York. Retrieved November 17, 2016. ^ "Second Avenue Subway Work Happening 'Around the Clock' to Make Deadline". DNAinfo New York. Archived from the original on September 21, 2017. Retrieved December 6, 2016. ^ Vilensky, Mike (December 4, 2016). "MTA Under Pressure to Open Second Avenue Subway". Wall Street Journal. ISSN 0099-9660. Retrieved December 6, 2016. ^ a b c Fitzsimmons, Emma G. (December 12, 2016). "M.T.A. Races to Finish 2nd Avenue Subway as Deadline Looms". The New York Times. ISSN 0362-4331. Retrieved December 13, 2016. ^ Chung, Jen (December 10, 2016). "Photos: 'Cautiously Optimistic' Cuomo Visits 2nd Avenue Subway Station". Gothamist. Archived from the original on December 13, 2016. Retrieved December 18, 2016. ^ a b Fitzsimmons, Emma G. (December 13, 2016). "With Second Ave. Subway, Cuomo Has Hands-On Role and Eye on the Future". The New York Times. ISSN 0362-4331. Retrieved December 14, 2016. ^ Rivoli, Dan (December 14, 2016). "Second Avenue subway line set to open on New Year's Eve". New York Daily News. Retrieved December 15, 2016. ^ Tcholakian, Danielle (December 14, 2016). "Second Avenue Subway Won't Open Until 'All Stations' Are Finished: MTA". DNAinfo New York. Archived from the original on December 20, 2016. Retrieved December 16, 2016. ^ "Second Avenue Subway Construction Progress Update (November to March)" (PDF). September 23, 2009. Retrieved August 2, 2009. ^ a b "The Bond Passed. Now Comes the Hard Part: Actually Building a 2nd Avenue Subway". The New York Times. November 14, 2005. Retrieved July 29, 2016. ^ "Governor Spitzer and FTA Administrator James Simpson Announce Federal Funding Guarantee For Second Avenue Subway's First Phase". ^ Donohue, Pete (April 24, 2009). "Second Ave. subway set back – again". Daily News. New York. Retrieved February 20, 2010. ^ Neuman, William (May 18, 2007). "Manhattan: Budget Increases for New Subway". The New York Times. Retrieved May 24, 2007. ^ Earle, Geoff (April 17, 2006). "Feds Finally Aboard 2nd Avenue $ubway". New York Post. Archived from the original on June 14, 2006. Retrieved June 9, 2013. ^ Bonanos, Christopher (December 21, 2009). "43. Because We Keep Digging". New York Magazine. Retrieved December 16, 2016. ^ "Capital Programs Second Avenue Subway". Metropolitan Transportation Authority. ^ Siff, Andrew (June 18, 2015). "2nd Ave Subway to Open Later Than MTA Expects: Feds". NBC New York. Retrieved October 20, 2016. ^ a b c Rivoli, Dan; Sandoval, Edgar; Greene, Leonard (December 18, 2016). "Cuomo promises Second Ave. subway will open Jan. 1". NY Daily News. Retrieved December 19, 2016. ^ "Governor Cuomo Debuts New 86th Street Subway Station and New Entrance at 63rd Street Subway Station". mta.info. Metropolitan Transportation Authority. December 30, 2016. Retrieved December 31, 2016. ^ a b Furfaro, Danielle (December 19, 2016). "Second Avenue Subway will only run during day for first week". New York Post. Retrieved December 20, 2016. ^ "Governor Cuomo Throws Second Avenue Subway Party For The First (Private) Ride". Gothamist. January 1, 2017. Archived from the original on January 4, 2017. Retrieved January 1, 2017. ^ Barone, Vincent (December 26, 2016). "Cuomo, de Blasio to take 1st ride on 2nd Ave. subway". am New York. Retrieved December 27, 2016. ^ a b Furfaro, Danielle; Fenton, Reuven; Mongelli, Lorena (January 1, 2017). "Riders say Second Avenue Subway already has issues". New York Post. Archived from the original on January 2, 2017. Retrieved January 1, 2017. ^ a b Slotnik, Daniel E.; Wolfe, Jonathan; Fitzsimmons, Emma G.; Palmer, Emily; Remnick, Noah (January 1, 2017). "Opening of Second Avenue Subway: Updates". The New York Times. ISSN 0362-4331. Retrieved January 1, 2017. ^ Rivoli, Dan; Sandoval, Edgar; Brown, Stephen Rex (January 1, 2017). "New Yorkers take historic first ride on Second Ave. subway". New York Daily News. Retrieved January 1, 2017. ^ Nessen, Stephen (January 1, 2017). "See Inside: The 2nd Avenue Subway Opens to All". WNYC. Retrieved January 1, 2017. ^ Barone, Vincent (January 2, 2017). "Second Avenue subway's New Year's Day opening drew 48,200". am New York. Retrieved January 3, 2017. ^ Rivoli, Dan; Slattery, Denis (January 1, 2017). "Second Avenue subway first ride before New Year's Eve ball drop". New York Daily News. Retrieved January 1, 2017. ^ * Malone, Noreen (May 14, 2012). "Chuck Close Will Make the Second Avenue Subway Pretty". New York Magazine. Mondkar, Bushan (January 22, 2014). "Subway Art on the Future Second Avenue Subway Line Revealed". Untapped Cities. Retrieved May 19, 2014. Kennedy, Randy (December 19, 2016). "Art Underground: A First Look at the Second Avenue Subway". The New York Times. ISSN 0362-4331. Retrieved December 19, 2016. ^ a b Fitzsimmons, Emma G.; Sun, Albert (February 1, 2017). "Second Avenue Subway Relieves Crowding on Neighboring Lines". The New York Times. ISSN 0362-4331. Retrieved February 1, 2017. ^ "Second Av Subway Ridership Growing Rapidly". mta.info. Metropolitan Transportation Authority. February 1, 2017. Retrieved February 1, 2017. ^ Weaver, Shaye (April 19, 2017). "Taxi Use Plummets on Upper East Side Due to 2nd Avenue Subway, Report Finds". DNAinfo New York. Archived from the original on April 26, 2017. Retrieved April 25, 2017. ^ Kaufman, Sarah; Kaputkin, Ari (April 18, 2017). "Upper East Side Taxis and the Second Avenue Subway" (PDF). NYU Rudin Center for Transportation. Archived from the original (PDF) on April 26, 2017. Retrieved April 25, 2017. ^ Rivoli, Dan (July 13, 2018). "Second Ave. subway takes pressure off Lexington line - NY Daily News". New York Daily News. Retrieved July 15, 2018. ^ "Upper East Side Building Sues MTA Over Planned Subway Entrances". DNA Info. February 17, 2011. Archived from the original on May 19, 2014. Retrieved May 19, 2014. ^ "Owners and Tenants of Yorkshire Towers Sue to Relocate Planned 86th Street Entrances to Second Avenue Subway". Anderson Kill. February 17, 2011. Archived from the original on May 19, 2014. Retrieved May 19, 2014. ^ a b c d Greg B. Smith (June 2, 2013). "Second Avenue subway plagued with dangerous conditions and safety violations". Daily News. New York. Retrieved May 4, 2014. ^ Luke McKenna (January 27, 2012). "The Second Avenue Subway Project Might Be To Blame For An Obnoxious Cough". Business Insider. Retrieved August 14, 2015. ^ Christine Haughney (November 23, 2011). "2 Views on Subway Project: Delay Work to Clear Air, or Carry On and Profit Sooner". The New York Times. Retrieved August 14, 2015. ^ "Air Quality Monitoring Study of the 86th Street Station: Construction on Second Avenue: Interim Report" (PDF). May 15, 2012. Retrieved November 14, 2015. During the monitoring period all monitored concentrations were below the established benchmark levels. The results indicate that PM10 levels were slightly higher on the days of test blasting, however, PM2.5 concentrations did not change. ^ a b "EXCLUSIVE: Second Avenue subway plagued with dangerous conditions and safety violations". Daily News. New York. Retrieved May 14, 2014. ^ "Summary Report of August 21, 2012 Incident at Ancillary No. 2" (PDF). mta.info. Metropolitan Transportation Authority. Retrieved December 18, 2016. ^ "Blasting Goes Awry Along 2nd Avenue Subway « CBS New York". Newyork.cbslocal.com. August 21, 2012. Retrieved May 14, 2014. ^ "Second Avenue Subway Explosion Breaks UES Windows After Workers Use Too Many Explosives (PHOTOS)". The Huffington Post. Retrieved May 14, 2014. ^ Kathy Carvajal; Arun Kristian Das; Luke Funk. "Second Ave. subway construction blast investigation – New York News". Myfoxny.com. Archived from the original on May 14, 2014. Retrieved May 14, 2014. ^ "'The mud just grabbed me and wouldn't release me': Rescued Second Ave. subway worker who spent four hours in cold upper East Side muck recovering". Daily News. New York. Retrieved May 15, 2014. ^ "MTA subway worker trapped in tunnel rescued". METRO Magazine. Retrieved May 15, 2014. ^ Most, Doug, The race underground : Boston, New York, and the incredible rivalry that built America’s first subway, First edition, New York : St. Martin’s Press, February 2014. ISBN 9780312591328. ^ a b Grynbaum, Michael M. (August 16, 2011). "CITY ROOM; On 2nd Avenue, a Halt to Things That Go Kaboom in the Night". The New York Times. ISSN 0362-4331. Retrieved October 27, 2016. ^ Smith, Greg B., "Concrete certification company American Standard Testing admits it faked safety and inspection reports on thousands of New York City buildings", New York Daily News, December 14, 2012. Retrieved December 14, 2012. ^ Rivoli, Dan (September 20, 2017). "Second Ave. subway still has more than 7,200 issues to address". NY Daily News. Retrieved September 22, 2017. ^ Furfaro, Danielle (October 19, 2017). "Second Avenue subway's fire alarms still don't work". New York Post. Retrieved October 20, 2017. ^ Rubinstein, Dana (October 19, 2017). "Internal memo: Second Avenue subway's fire alarm system offline since May". Politico PRO. Retrieved October 20, 2017. ^ Fitzsimmons, Emma G. (September 20, 2017). "Months After Second Avenue Subway Opening, Safety Testing Is Not Finished". The New York Times. ISSN 0362-4331. Retrieved September 20, 2017. ^ Siff, Andrew (July 12, 2017). "Why Are NYC's Newest Subway Stations So Hot?". NBC New York. Retrieved July 18, 2017. ^ a b c "MTACC REPORT TO CPOC SECOND AVENUE SUBWAY – PHASE 2" (PDF). mta.info. Metropolitan Transportation Authority. March 20, 2017. Retrieved August 27, 2017. ^ a b "Second Avenue Subway Supplemental Draft Environmental Impact Statement (SDEIS), April 2003 Chapter 2 Project Alternatives" (PDF). mta.info. Metropolitan Transportation Authority. April 2003. Retrieved August 9, 2016. ^ a b "MTA Capital Program 2015 – 2019 Capital Plan Renew. Enhance. Expand. As Approved by MTA Board April 20, 2016. As Approved by the CPRB May 23, 2016" (PDF). mta.info. Metropolitan Transportation Authority. May 2016. Retrieved August 7, 2016. ^ "Second Avenue Subway Final Environmental Impact Statement (FEIS): Chapter 5B: Transportation—Subway and Commuter Rail" (PDF). mta.info. Metropolitan Transportation Authority. May 2004. Retrieved December 17, 2016. ^ Donohueaccessdate=December 23, 2016, Pete (August 7, 2014). "MTA to propose $1.5B to Phase 2 of 2nd Ave. subway construction". Daily News. New York. ^ "Second Avenue Subway Gets $1.5B for Phase 2 Construction". Curbed NY. ^ Pete Donohue (March 2, 2015). "Second Ave. subway project will be cut short if funding doesn't come through, MTA chief says". Daily News. New York. Retrieved March 24, 2015. ^ "2nd Phase of Second Avenue Subway Construction Delayed, Frustrating East Harlem Officials and Residents". NBC New York. Retrieved March 6, 2016. ^ Otis, Ginger Adams (March 4, 2016). "MTA getting ready to start Second Avenue Subway Phase 2". Daily News. New York. Retrieved March 6, 2016. ^ Mathis, William (March 4, 2016). "MTA Prepares to Extend Second Avenue Subway to East Harlem". DNAinfo New York. DNAinfo. Archived from the original on March 6, 2016. Retrieved March 6, 2016. ^ Fitzsimmons, Emma G. (April 20, 2016). "M.T.A. Spending Plan Restores Funding for 2nd Ave. Subway". New York Times. New York. Retrieved May 16, 2016. ^ "Initial East Harlem Rezoning Plan Promises 30-Story Towers and Less Parking – New York YIMBY". New York YIMBY. October 18, 2016. Retrieved October 23, 2016. ^ "EAST HARLEM NEIGHBORHOOD STUDY Draft Planning Framework DCP Manhattan Office October 18, 2016" (PDF). www1.nyc.gov. NYC Planning. October 18, 2016. Retrieved October 22, 2016. ^ Garliauskas, Lucy (December 23, 2016). "Re: Project Development Initiation – Second Avenue Subway Phase 2" (PDF). maloney.house.gov. Federal Transit Administration. Retrieved December 24, 2016. ^ a b Barone, Vincent (December 15, 2016). "Officials look to secure federal funds for 2nd Ave. subway". am New York. Retrieved December 16, 2016. ^ "Phase 2 of 2nd Avenue Subway Clears Preliminary Funding Hurdle". Harlem, NY Patch. December 23, 2016. Retrieved January 4, 2017. ^ "MTA Capital Program Amendments Renew. Enhance. Expand. Capital Program Briefing May 2017" (PDF). mta.info. Metropolitan Transportation Authority. May 24, 2017. Retrieved May 24, 2017. ^ "Second Avenue Subway". AKRF, Inc. Retrieved August 27, 2017. ^ "MTA Capital Construction – Procurement". web.mta.info. Metropolitan Transportation Authority. Archived from the original on August 27, 2017. Retrieved August 27, 2017. ^ "New center gives glimpse of Second Avenue Subway's future". NY1.com. September 22, 2017. Archived from the original on September 23, 2017. Retrieved September 28, 2017. ^ "Proposed Program of Projects Federal Fiscal Year 2018" (PDF). mta.info. Metropolitan Transportation Authority. August 2017. Retrieved August 28, 2017. ^ "Capital Program Oversight Committee Meeting – September 25, 2017" (PDF). mta.info. Metropolitan Transportation Authority. September 25, 2017. pp. 52–59. Retrieved September 25, 2017. ^ a b * "Fourth Regional Plan: Transportation". Regional Plan Association. Retrieved November 30, 2017. Barone, Vincent (November 30, 2017). "New subway lines, extensions key for system's future: Report". am New York. Retrieved December 1, 2017. ^ "Capital Program Oversight Committee Meeting June 2018" (PDF). Metropolitan Transportation Authority. June 18, 2018. pp. 14–15. Retrieved June 17, 2018. ^ MTA Capital Construction (July 12, 2018). "Second Avenue Subway Supplemental Environmental Assessment". Metropolitan Transportation Authority. Retrieved July 13, 2018.